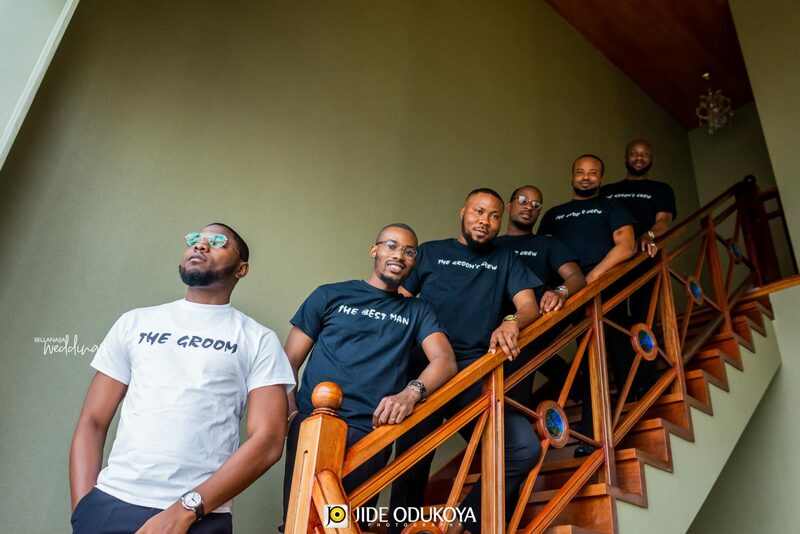 Guys, you have to be ready for this and we are positive you’ll love every bit of it. 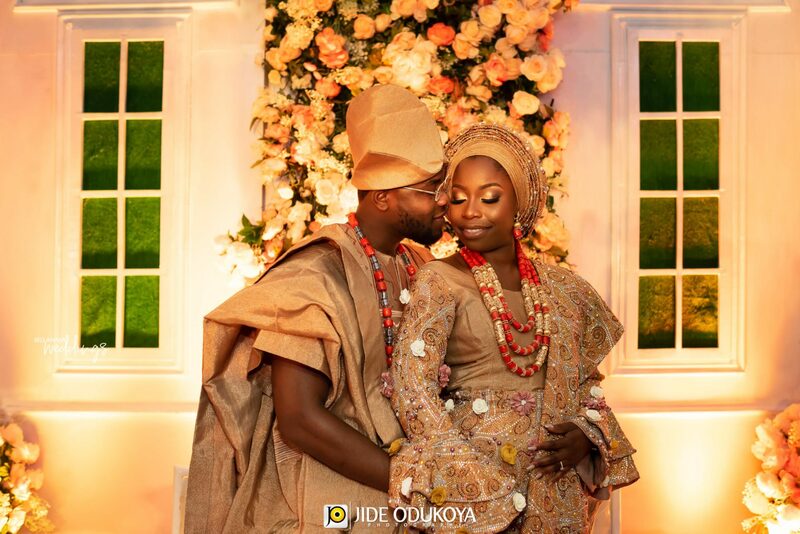 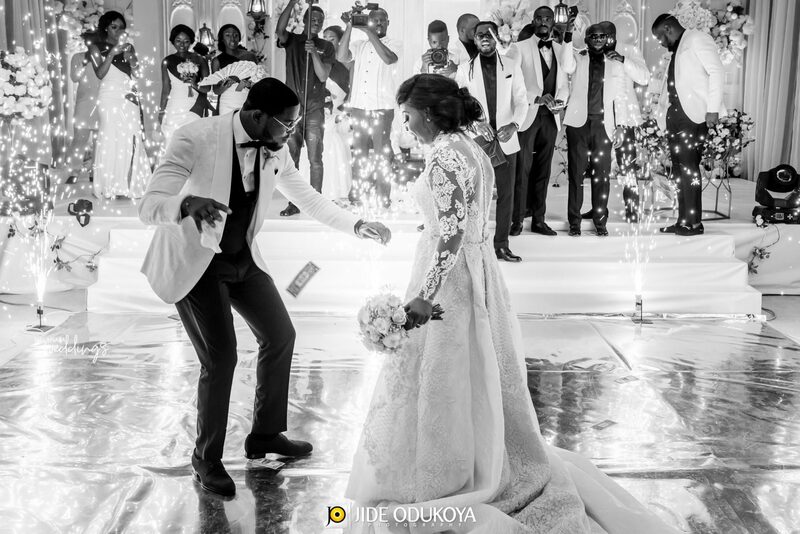 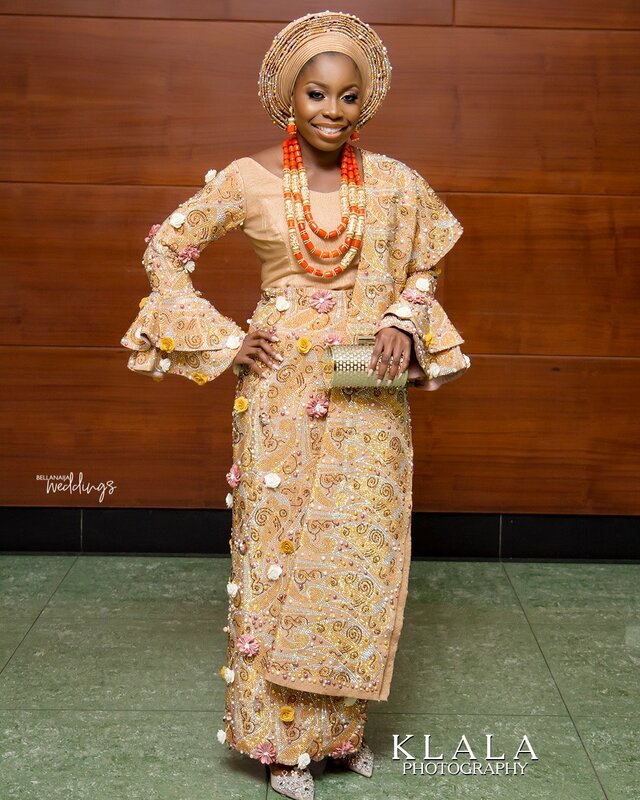 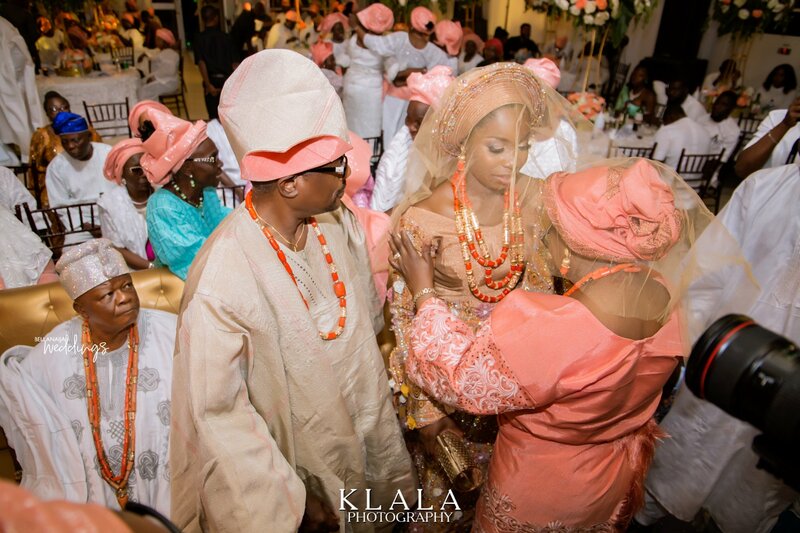 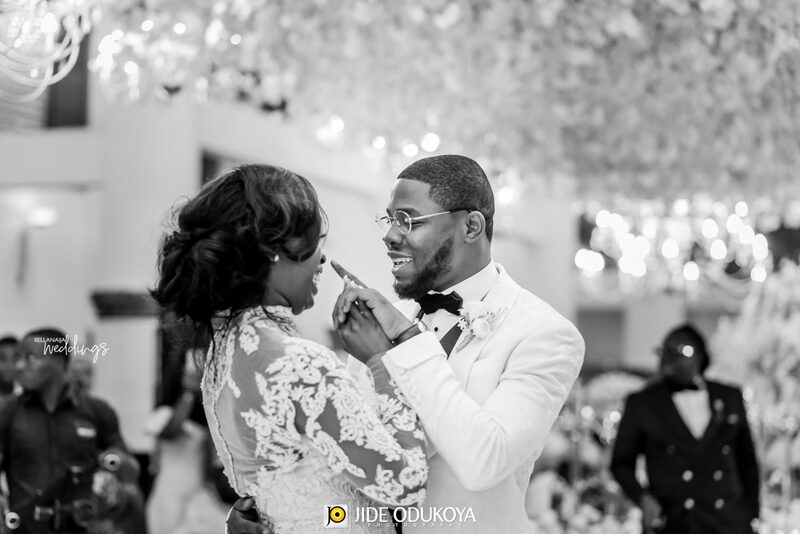 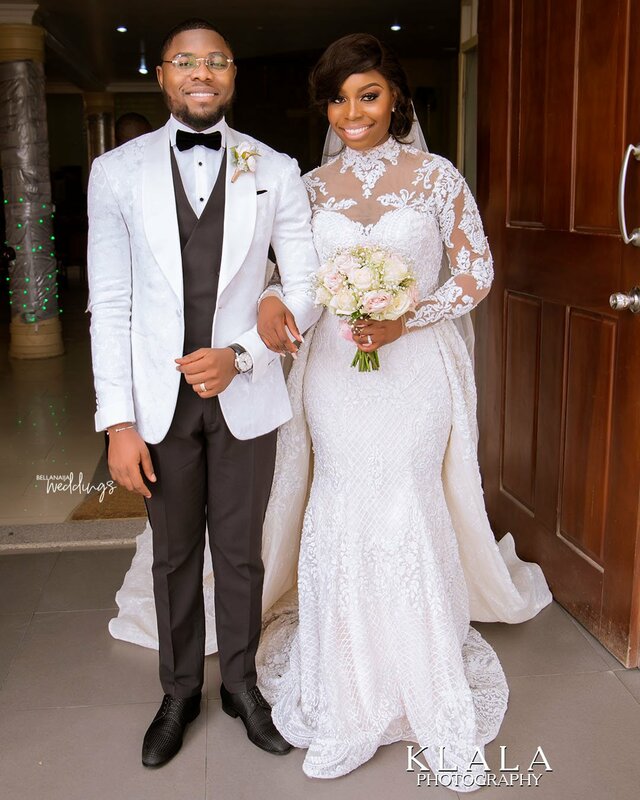 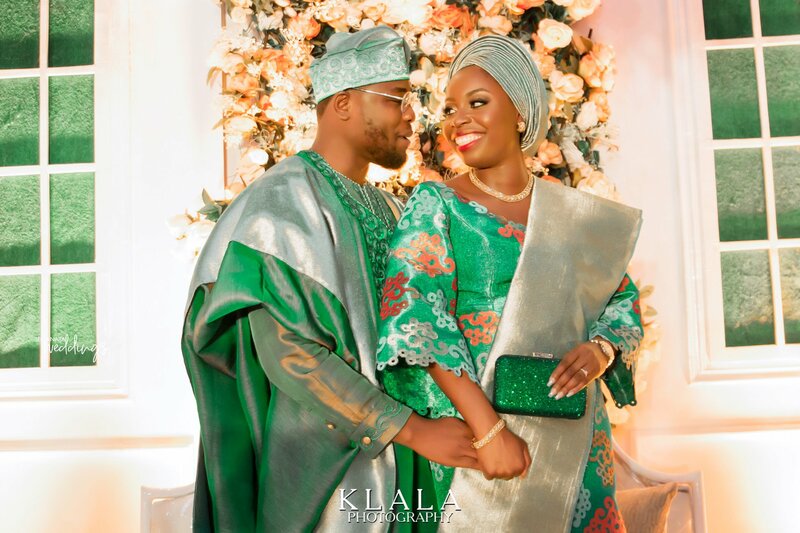 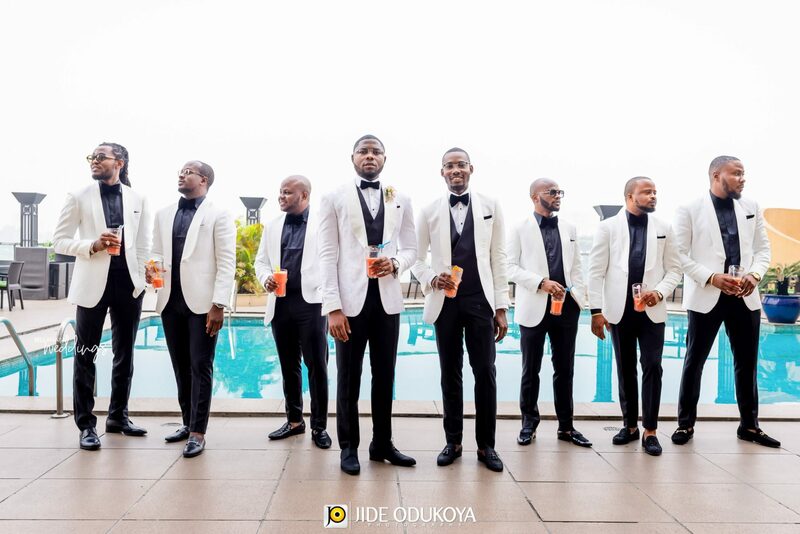 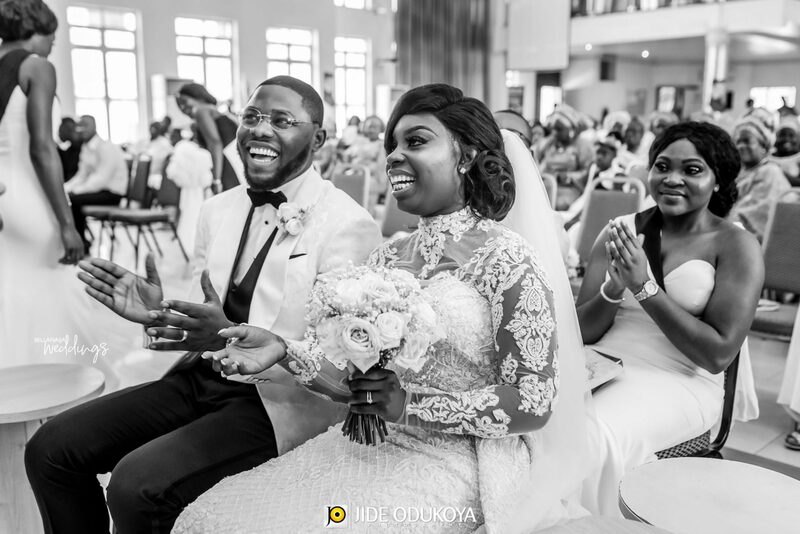 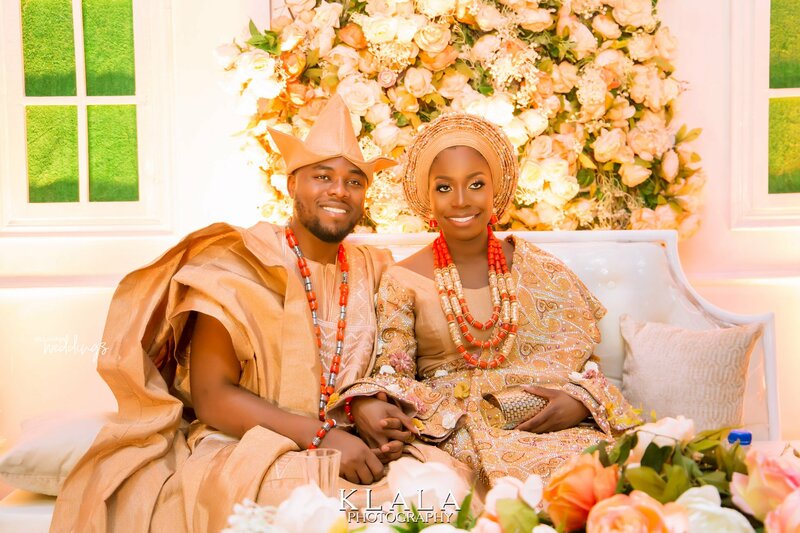 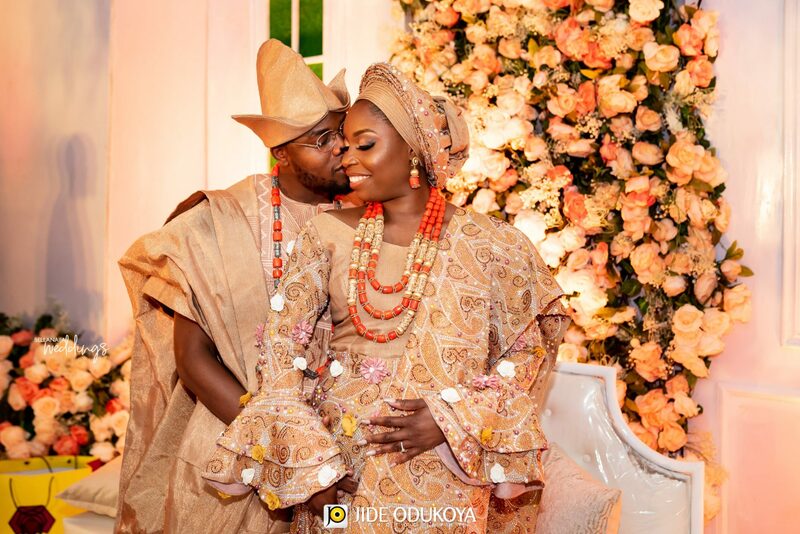 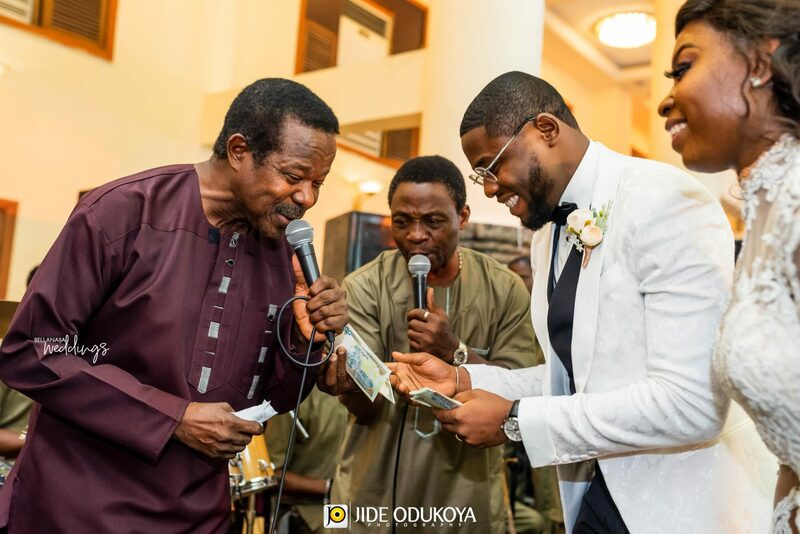 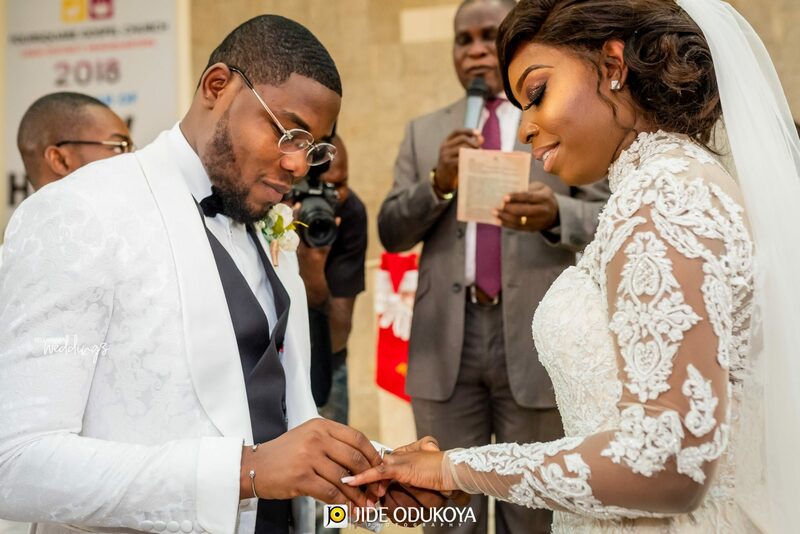 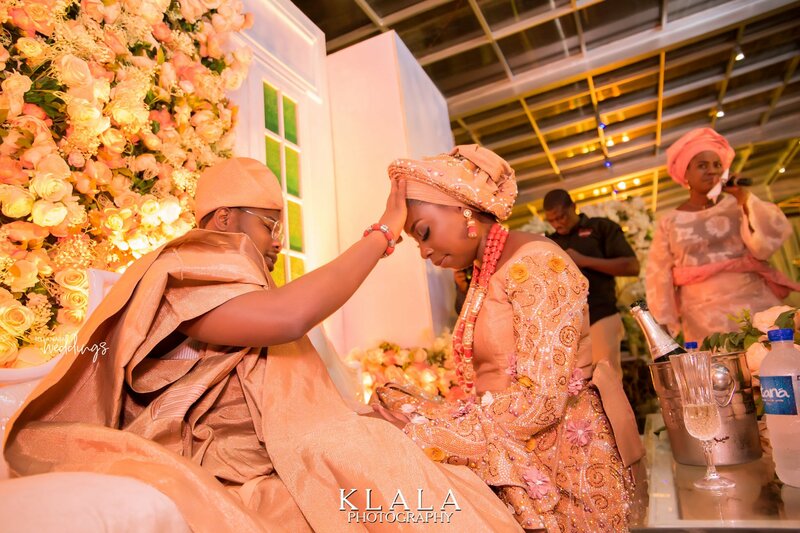 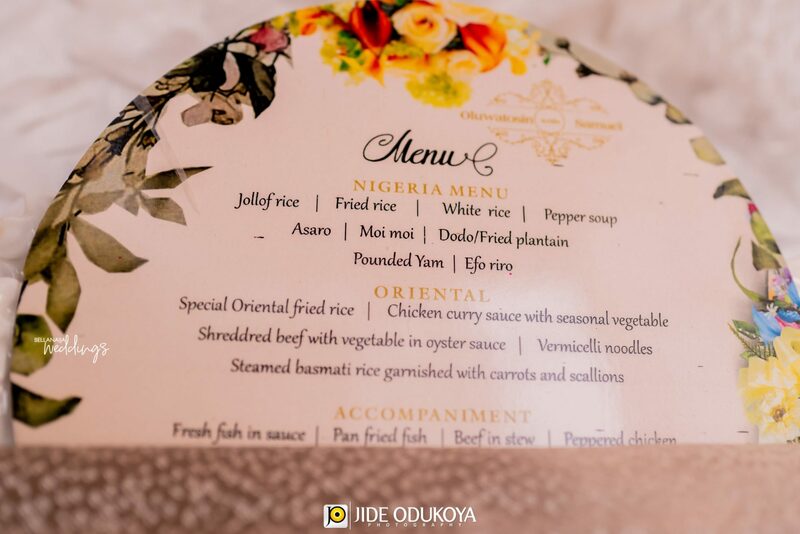 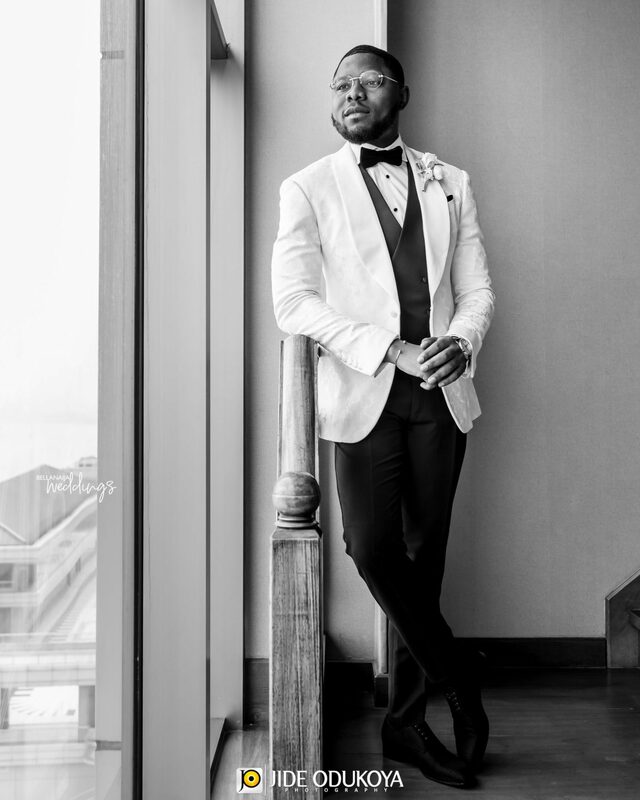 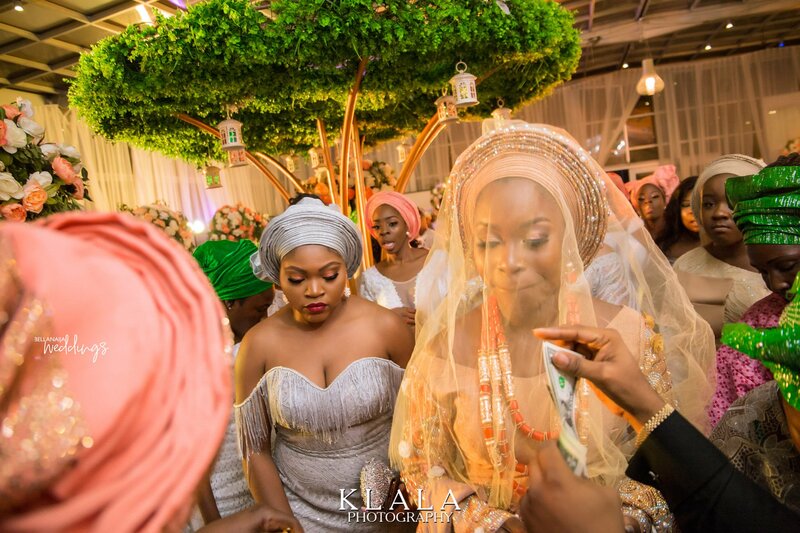 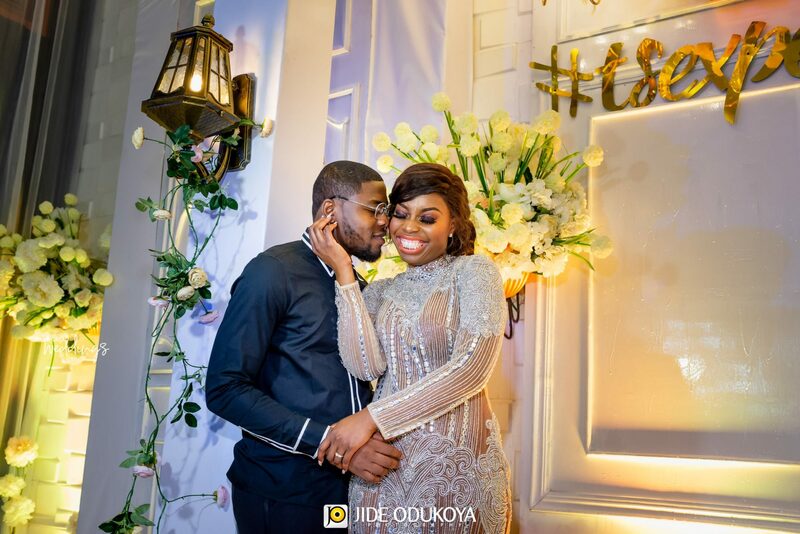 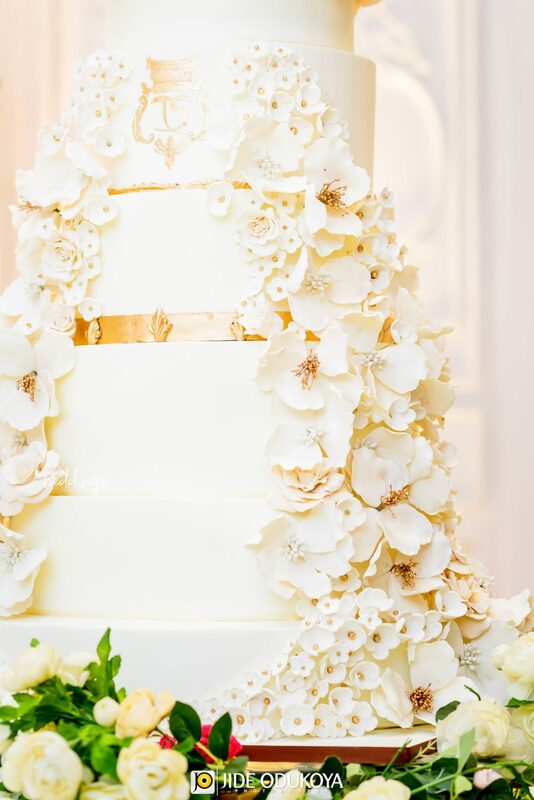 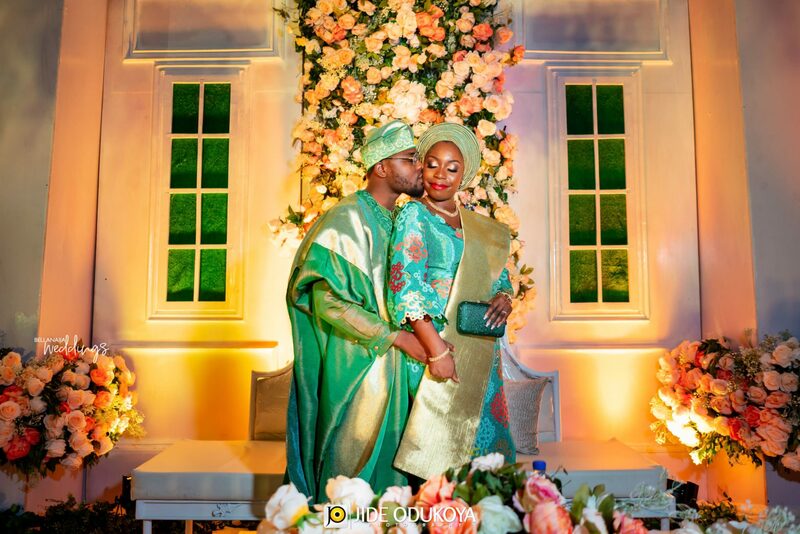 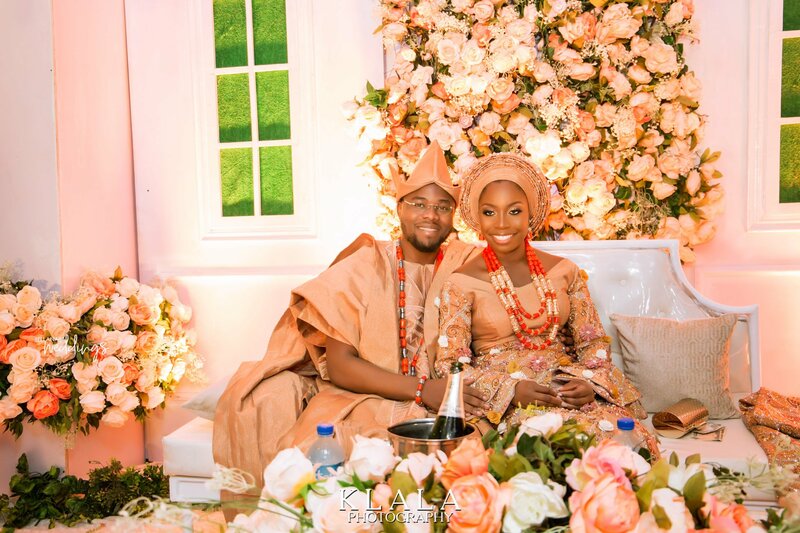 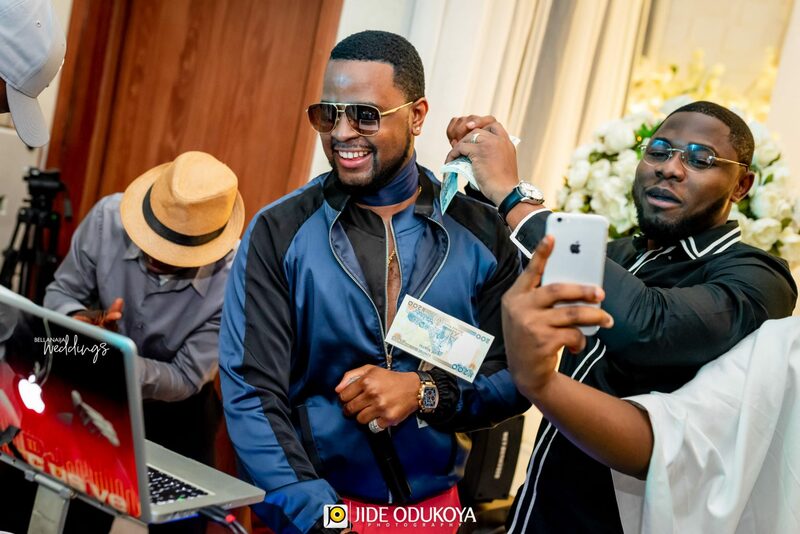 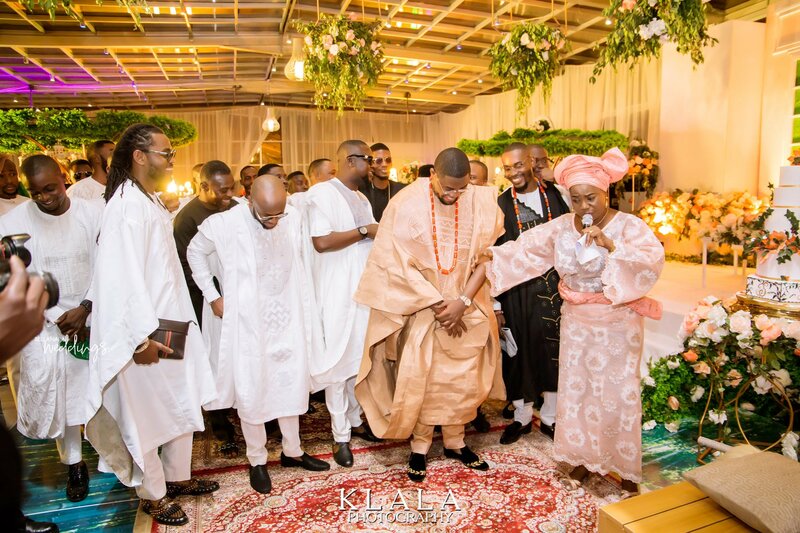 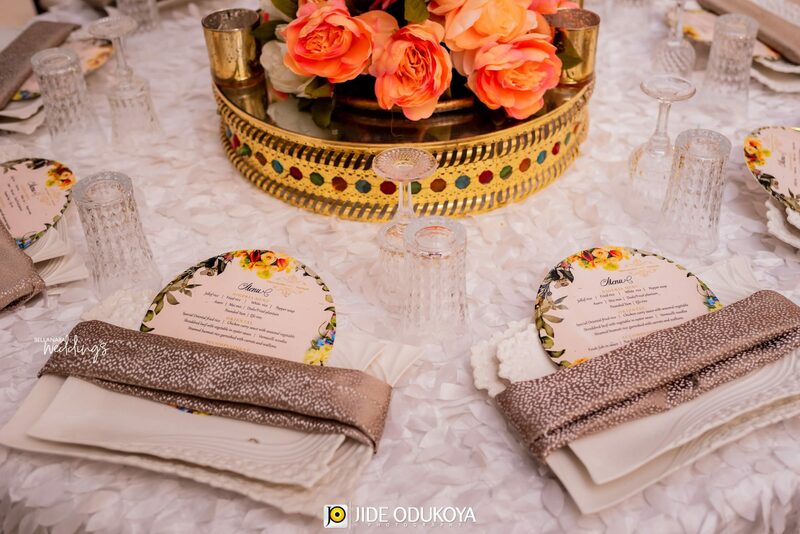 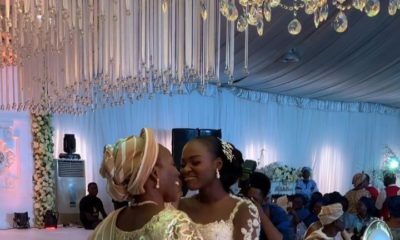 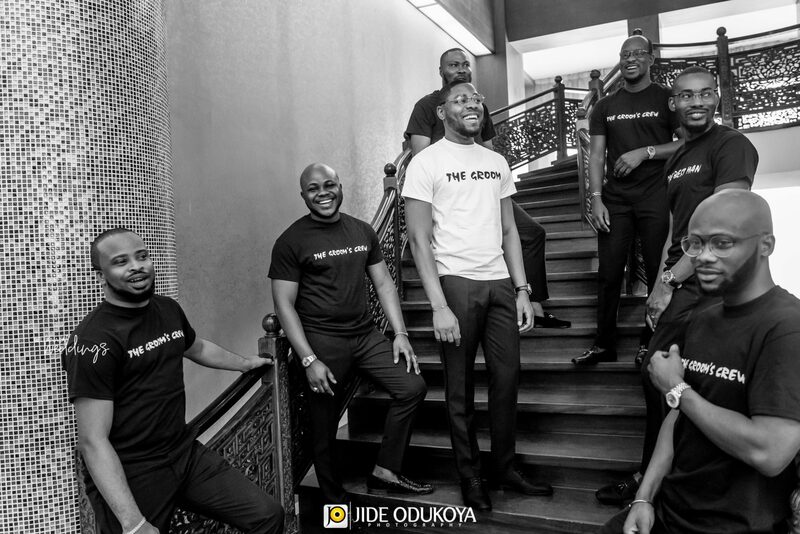 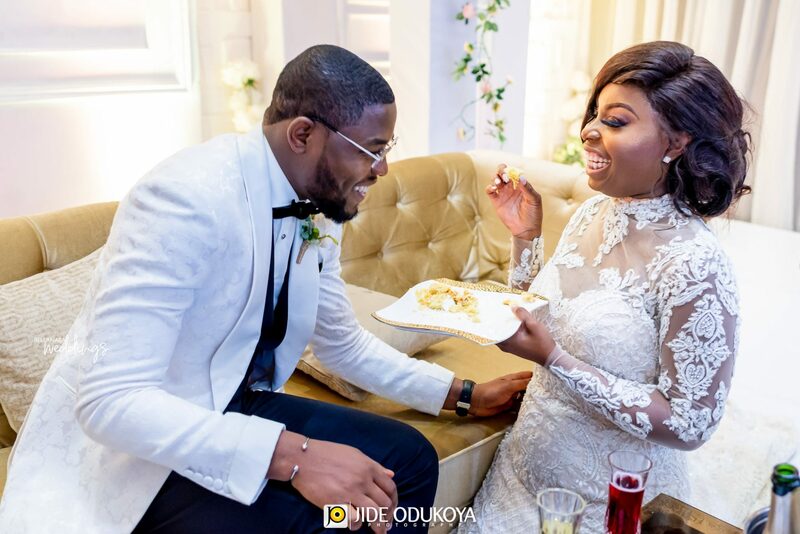 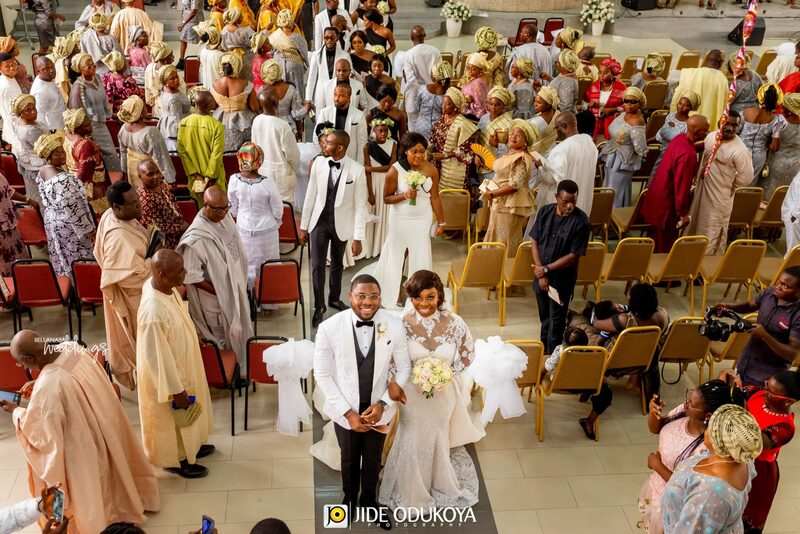 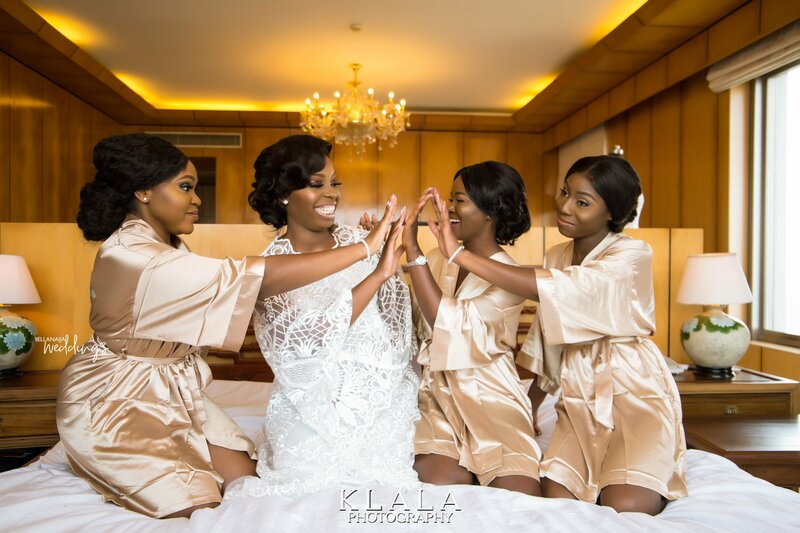 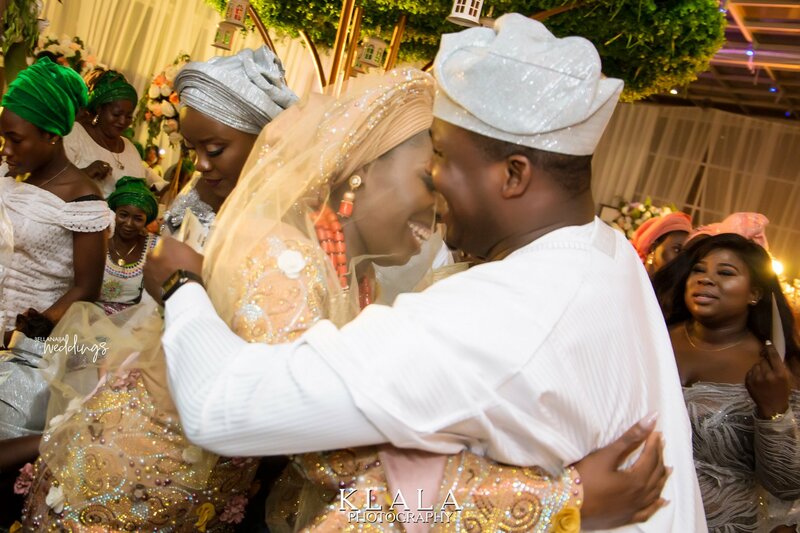 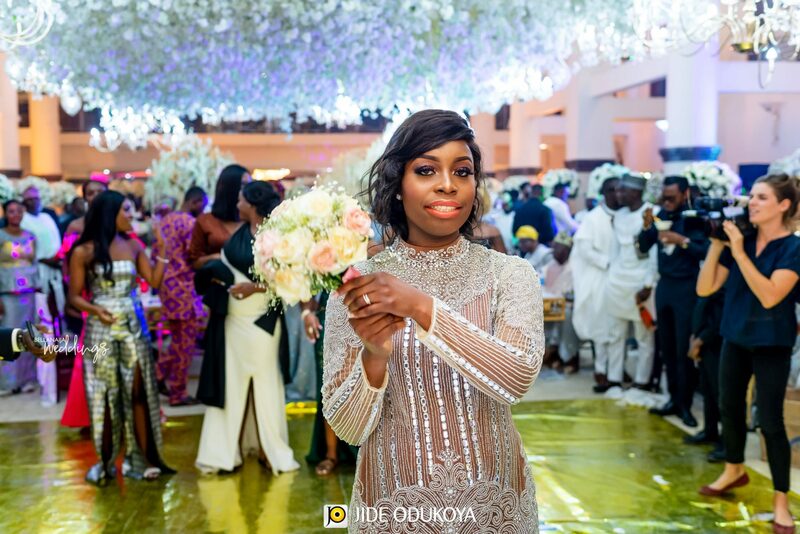 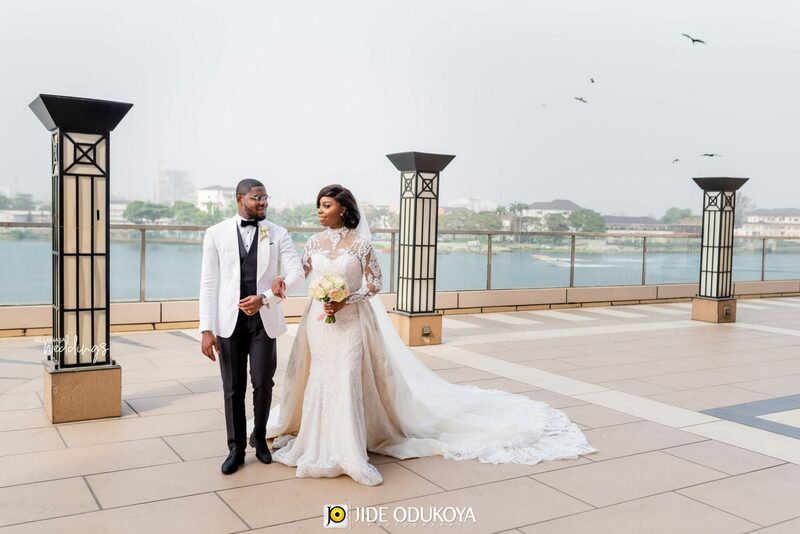 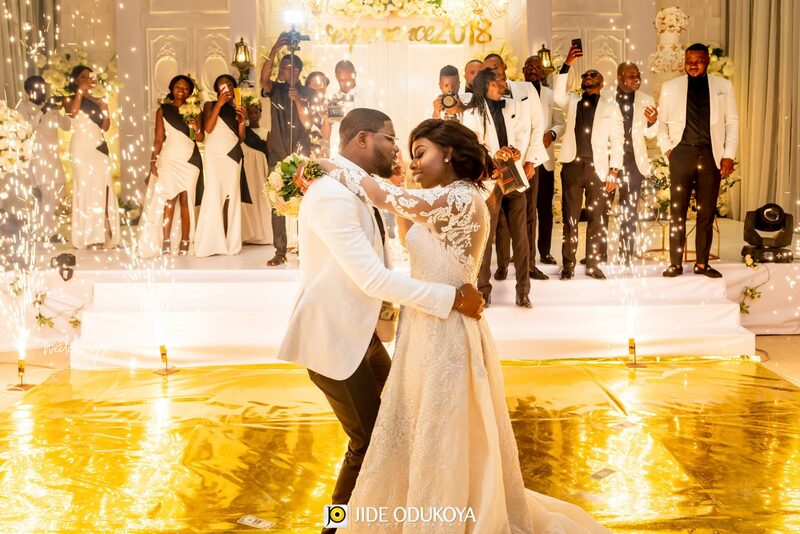 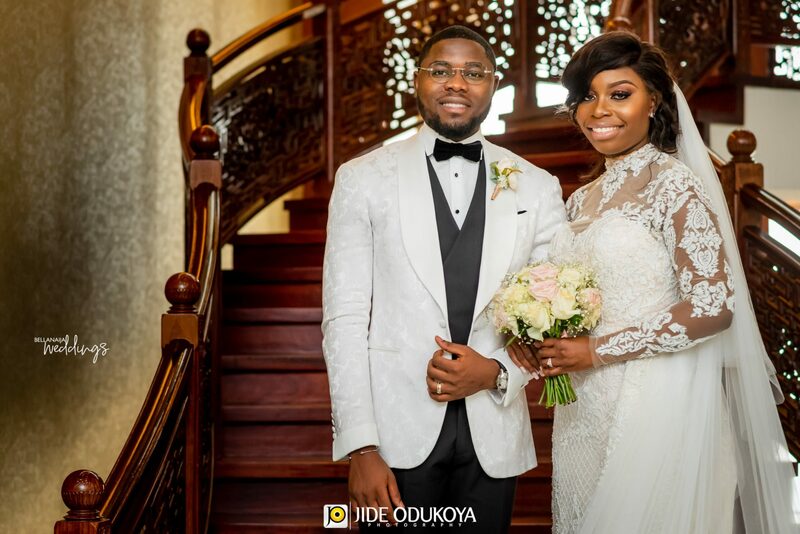 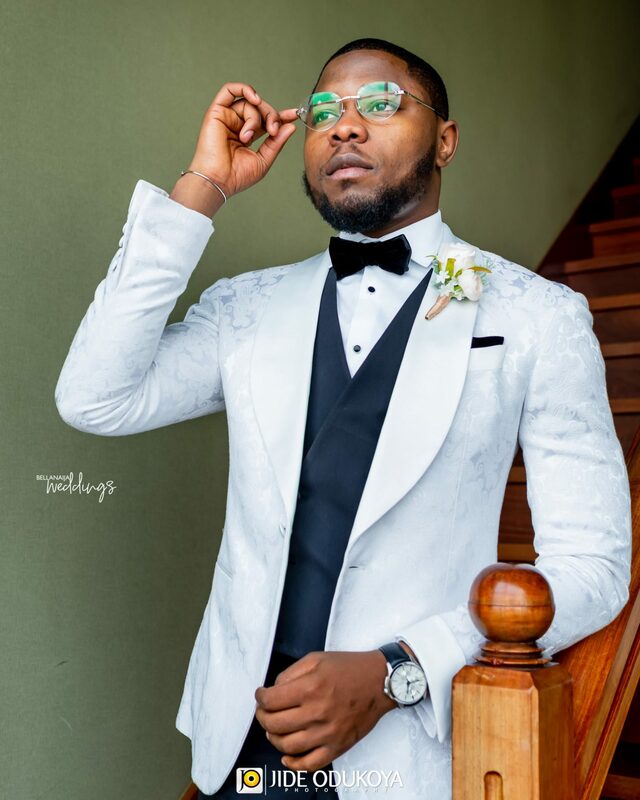 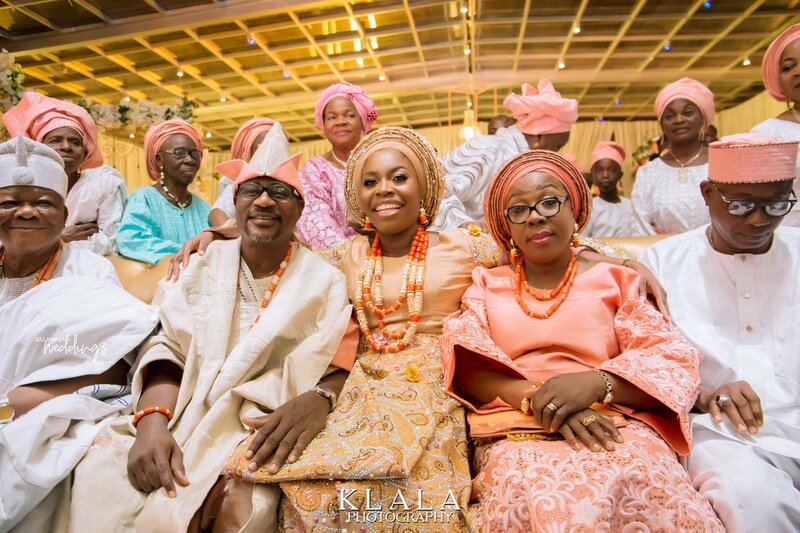 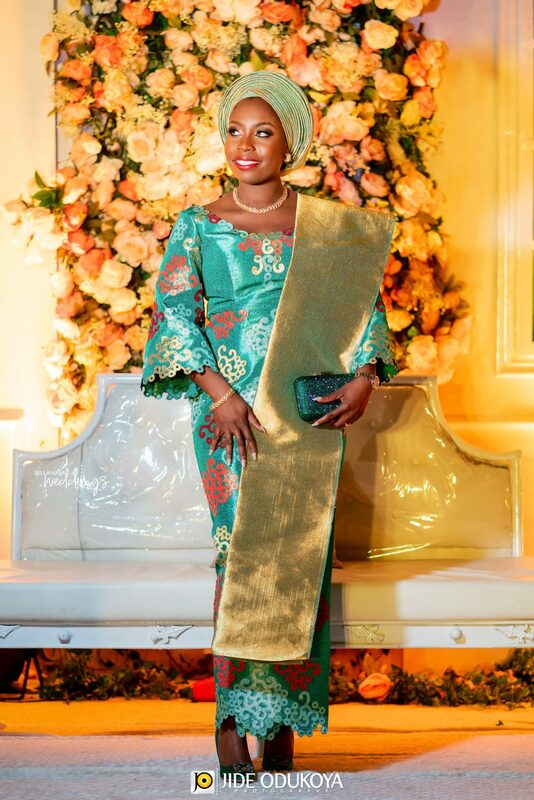 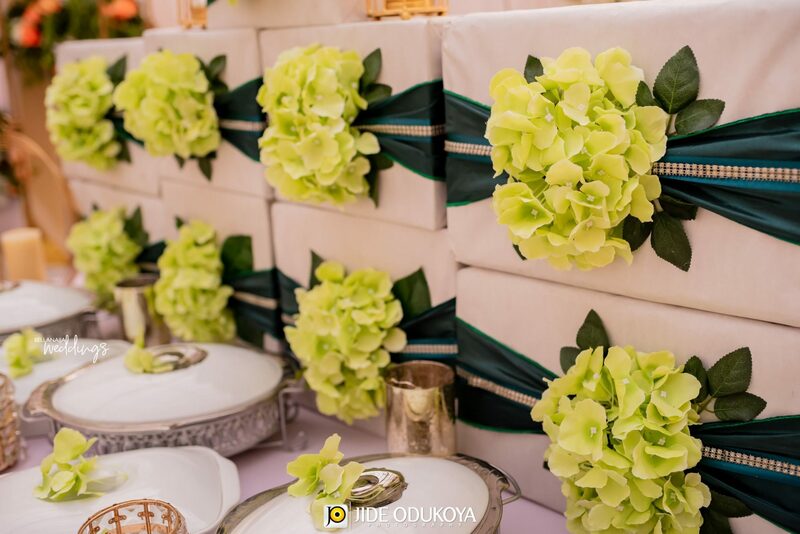 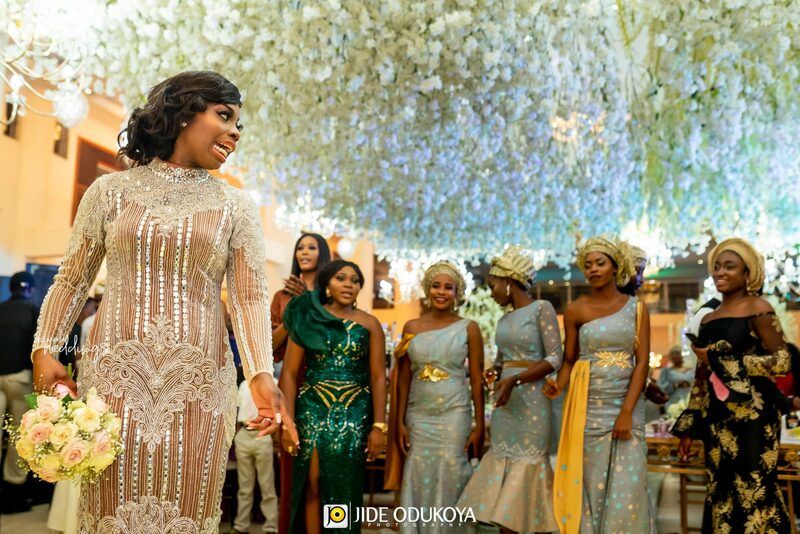 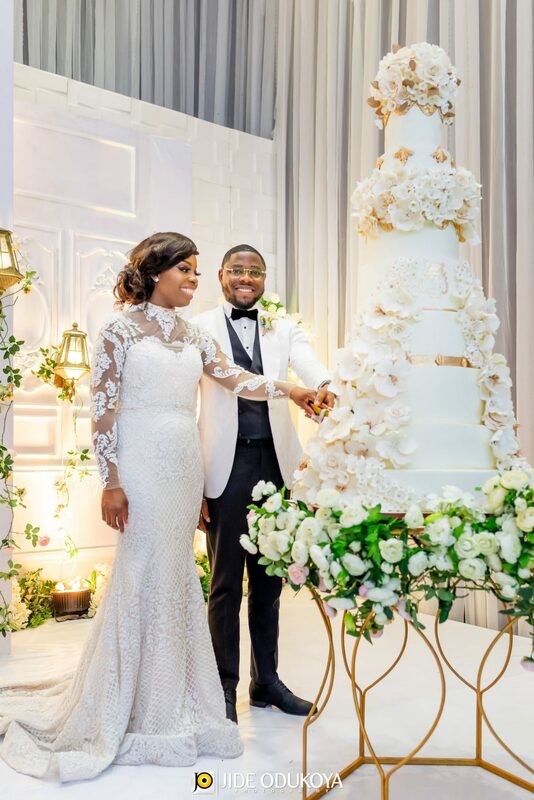 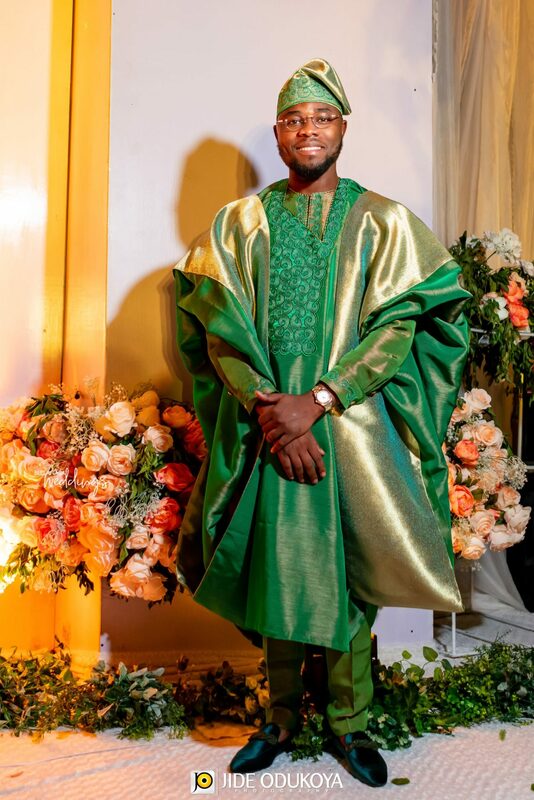 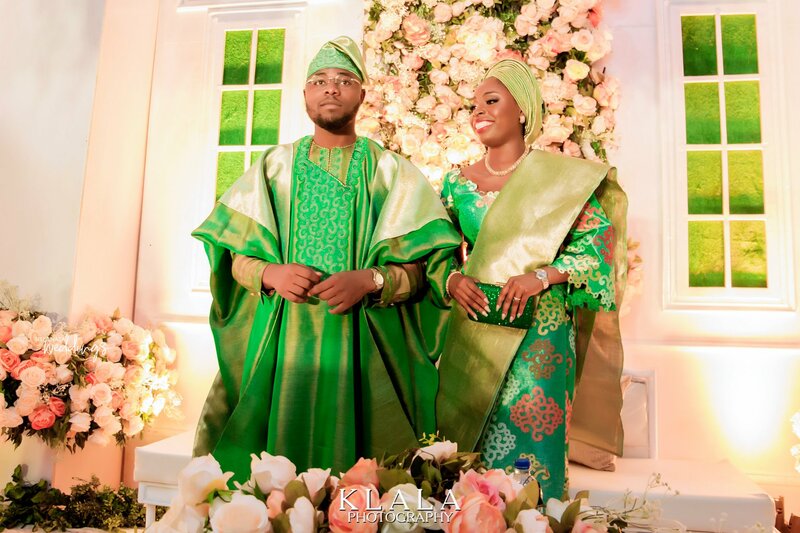 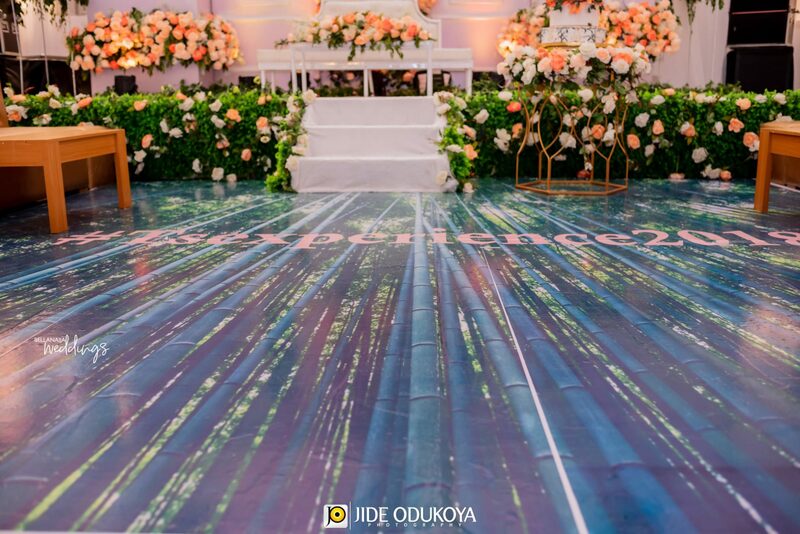 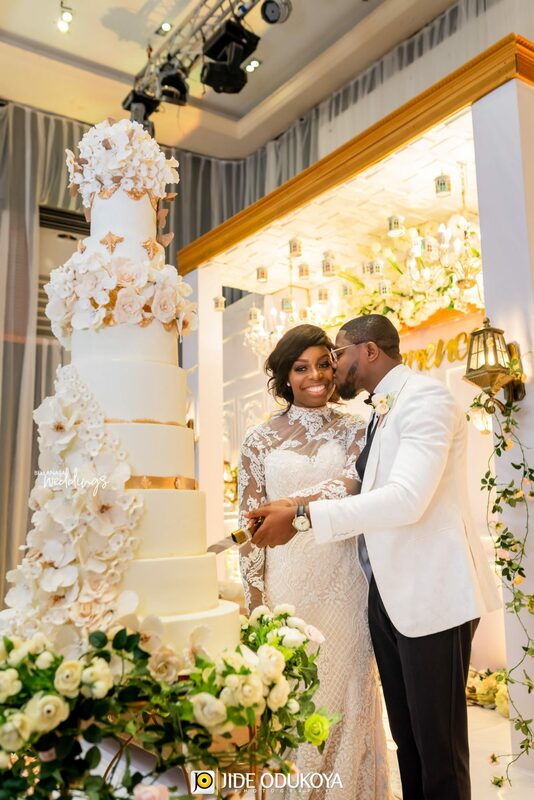 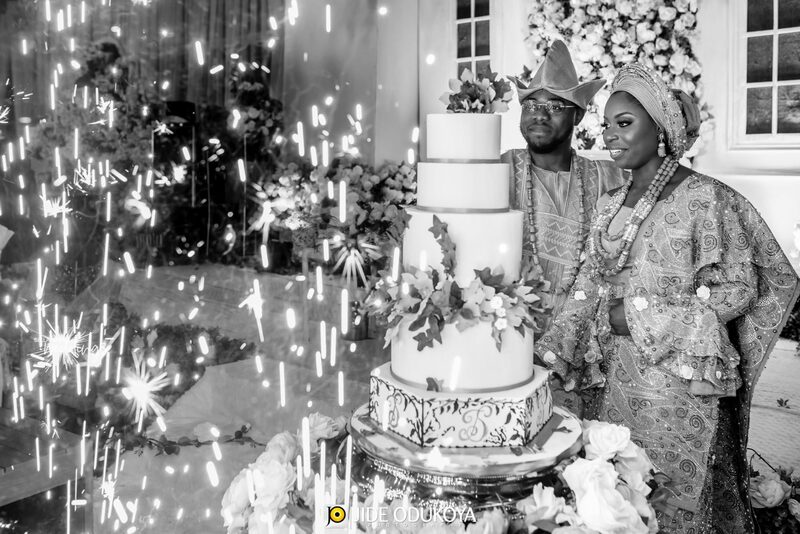 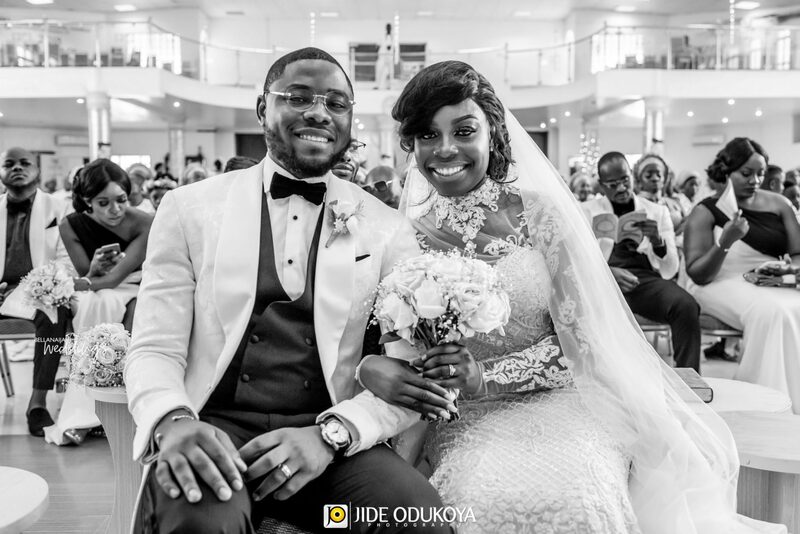 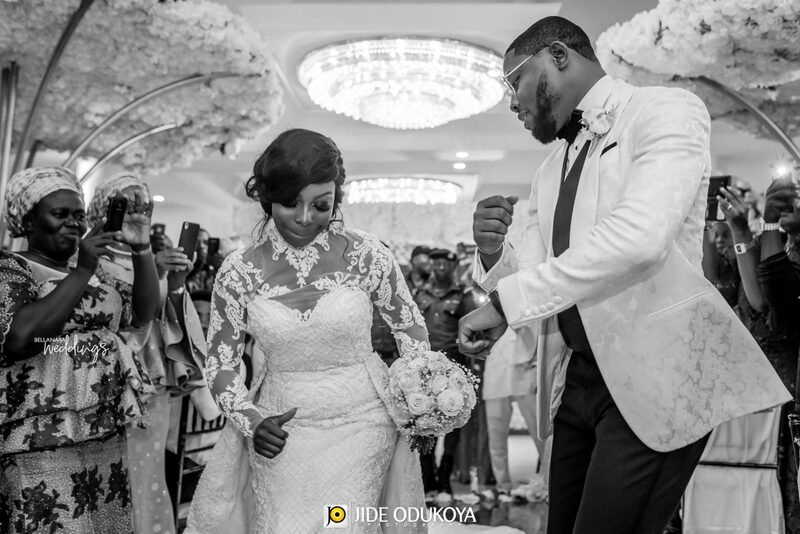 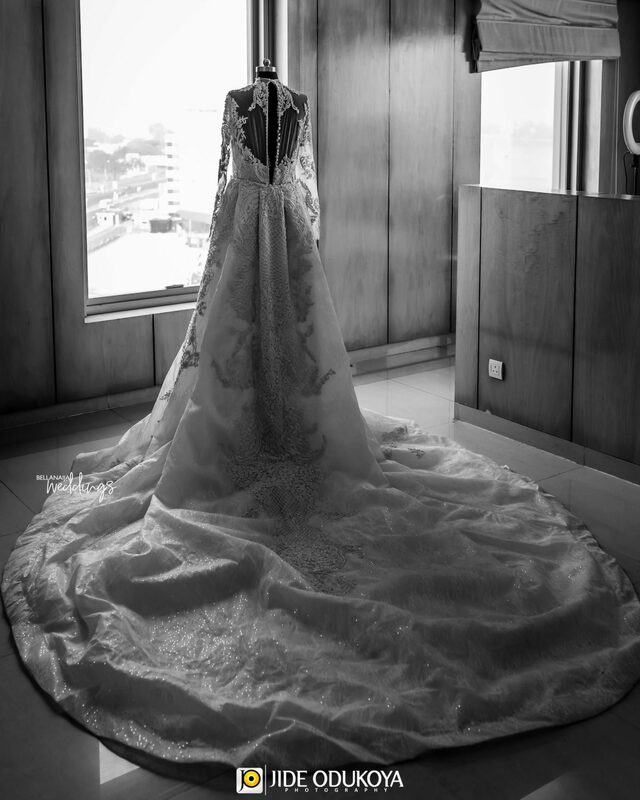 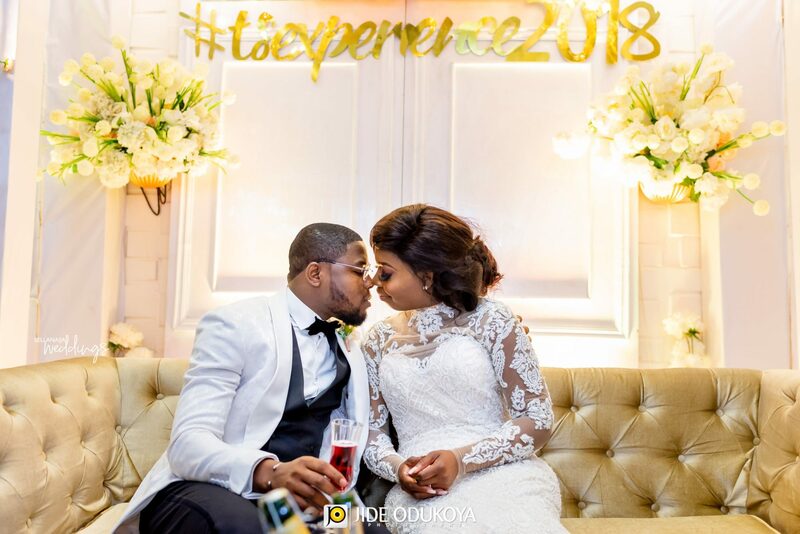 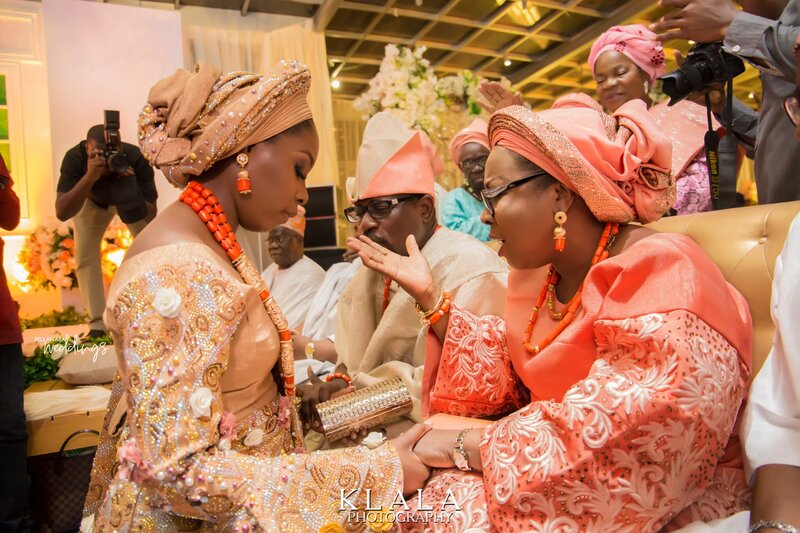 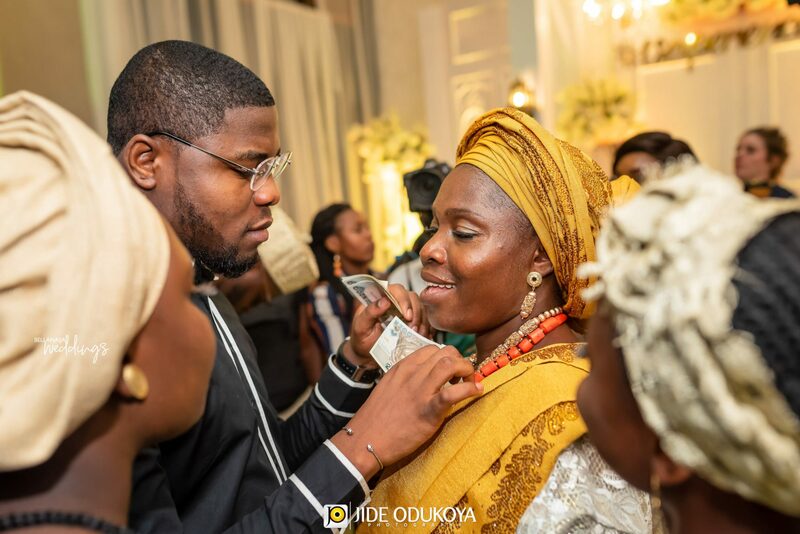 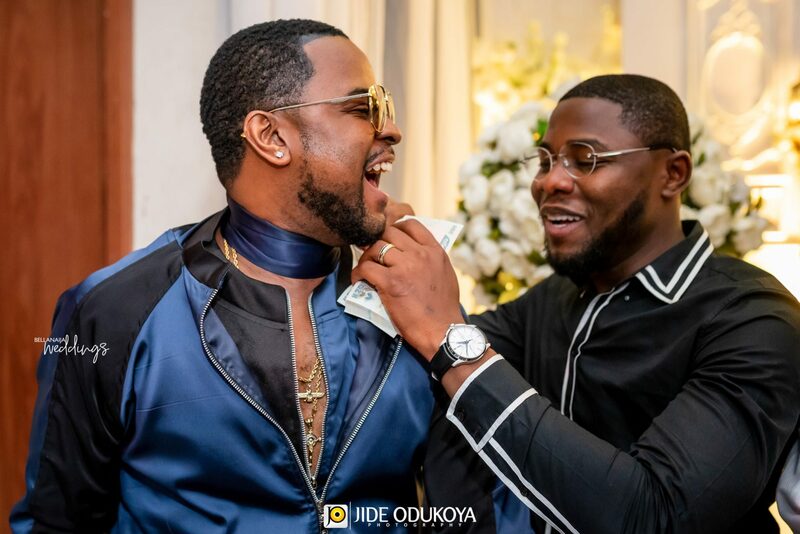 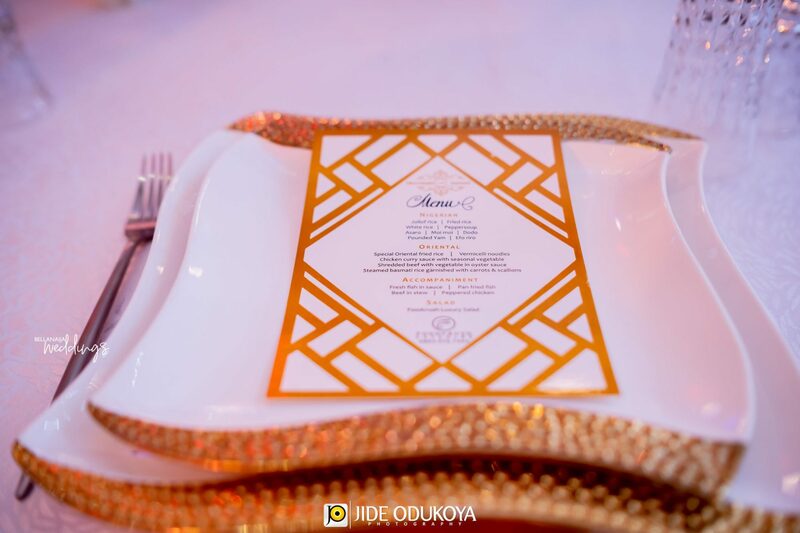 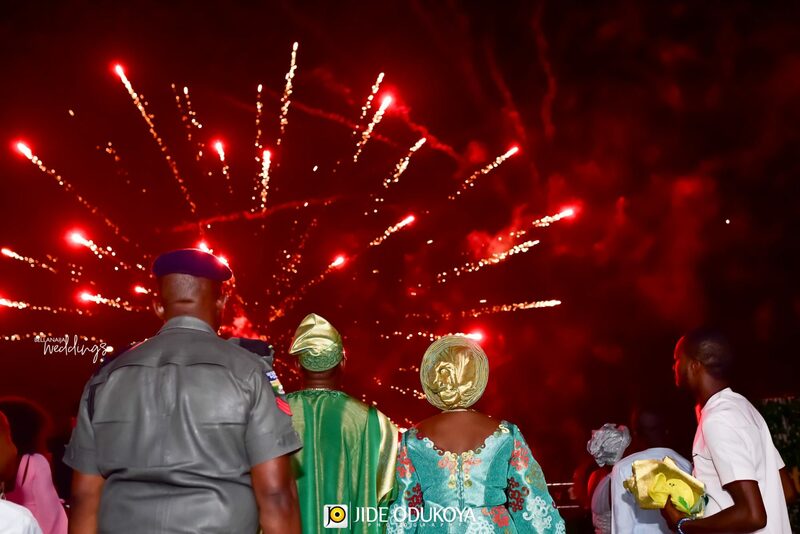 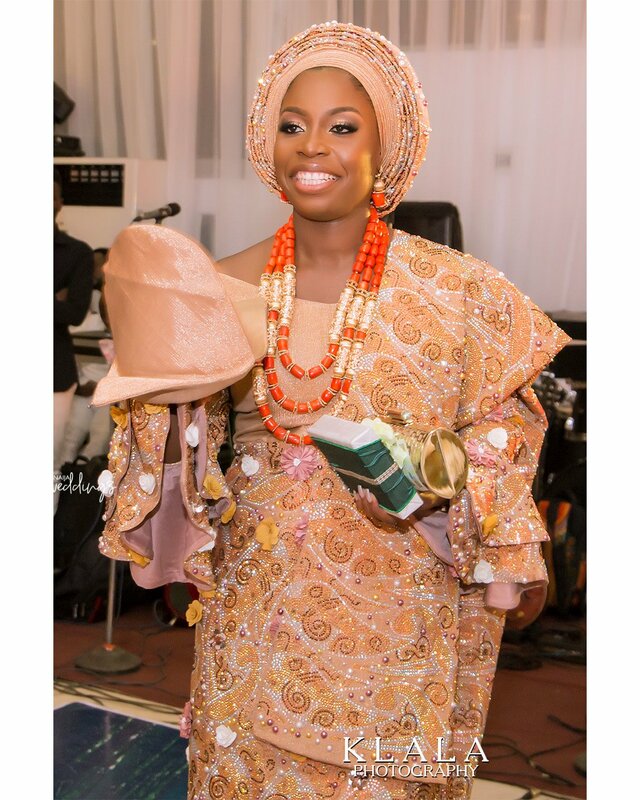 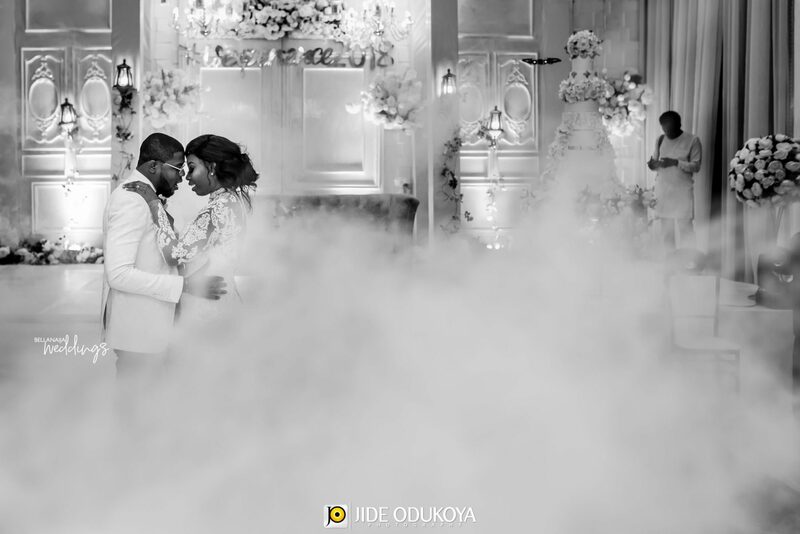 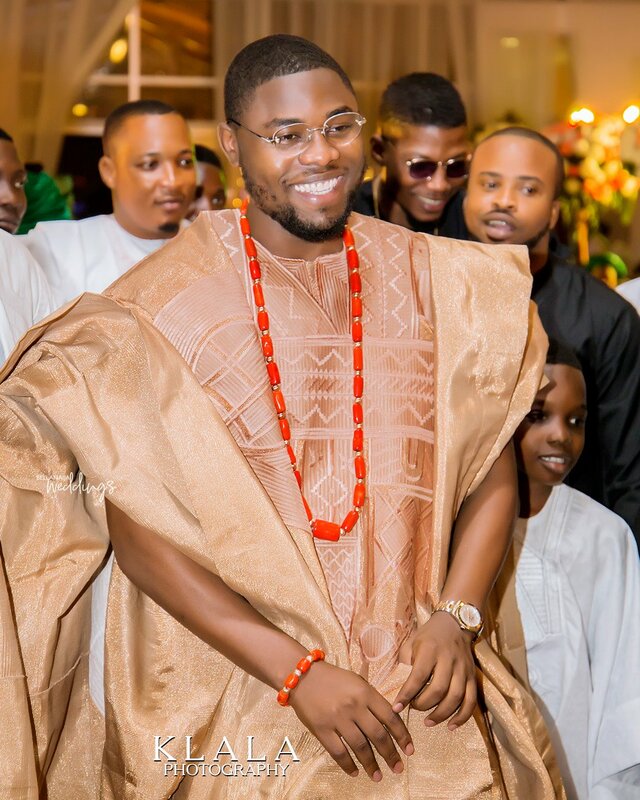 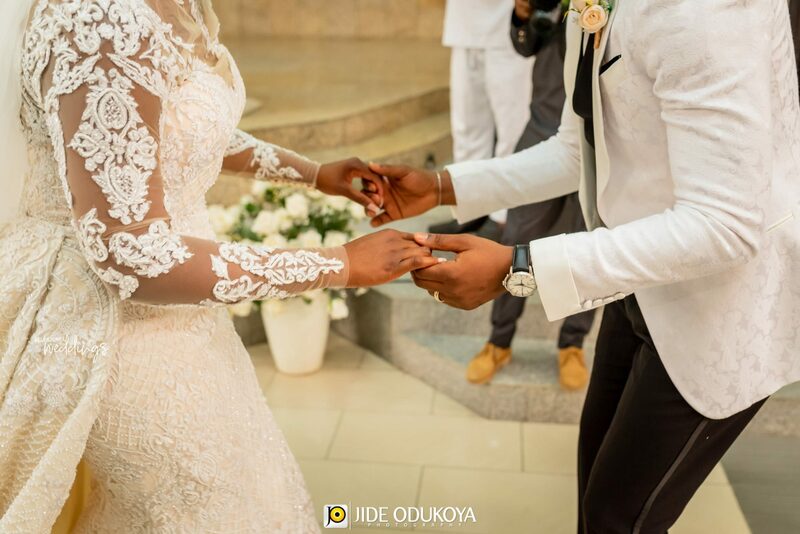 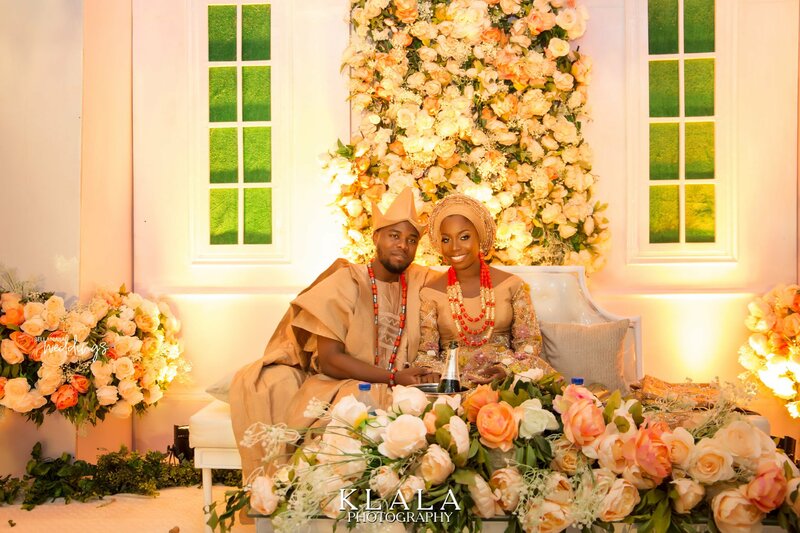 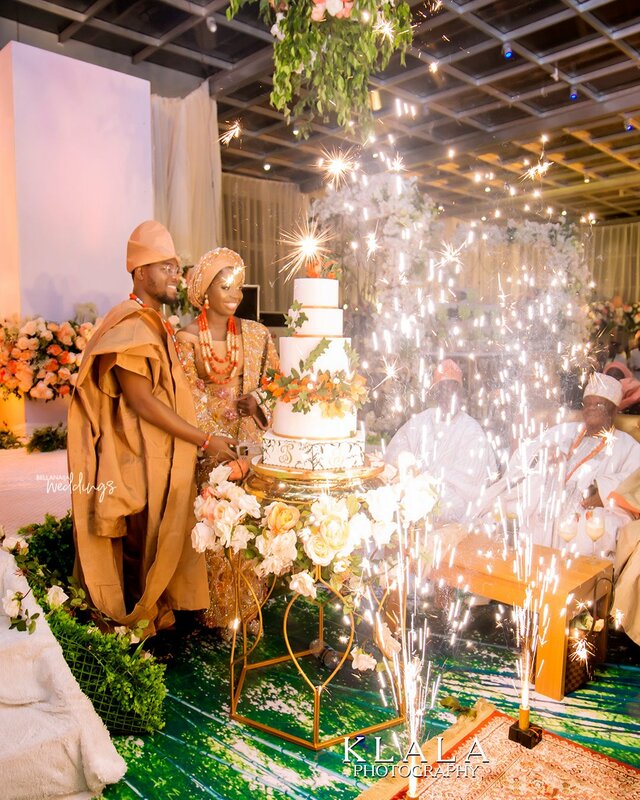 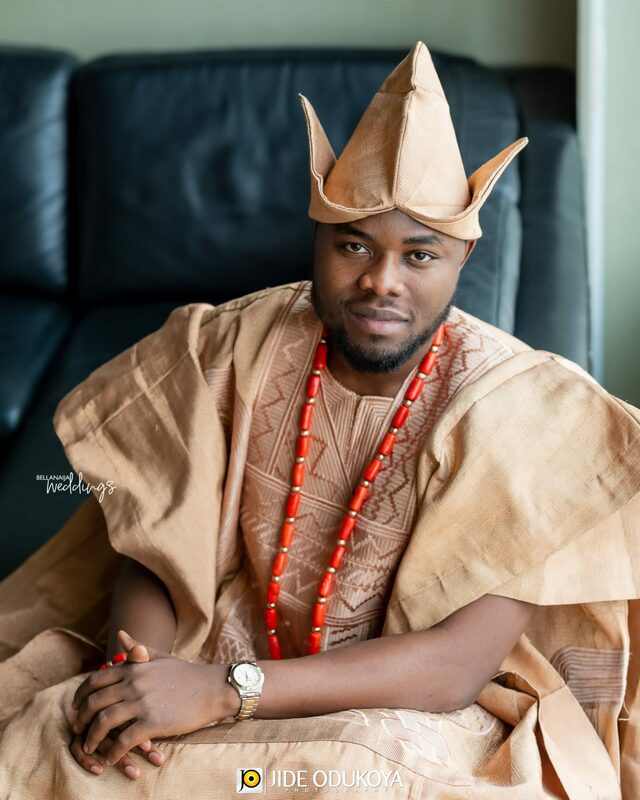 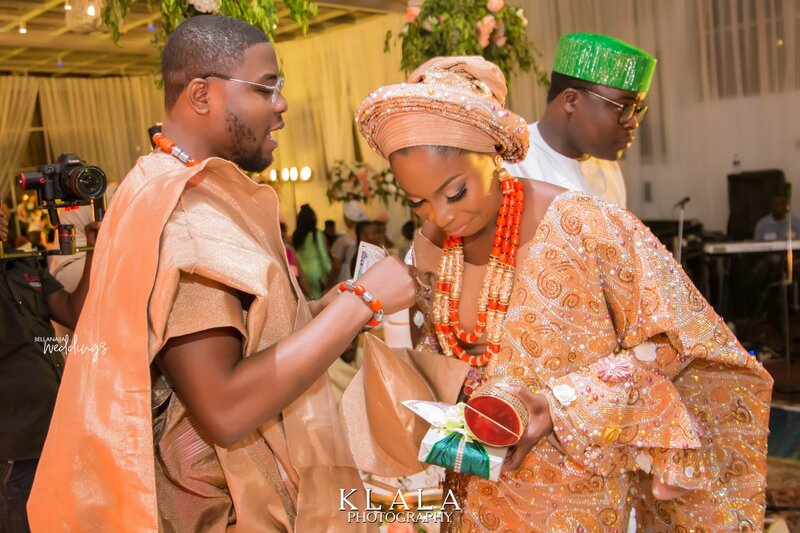 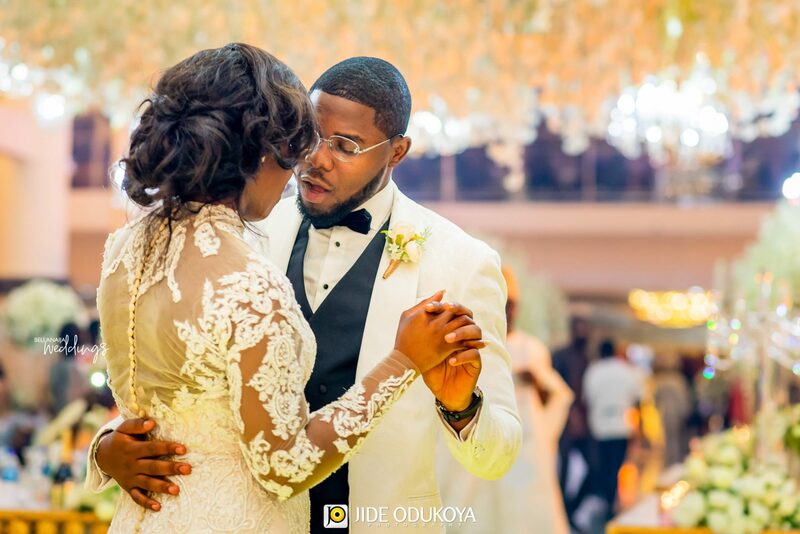 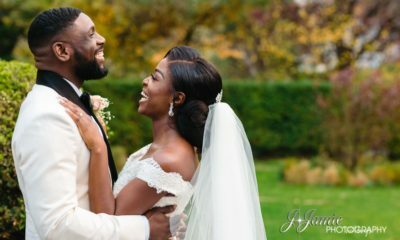 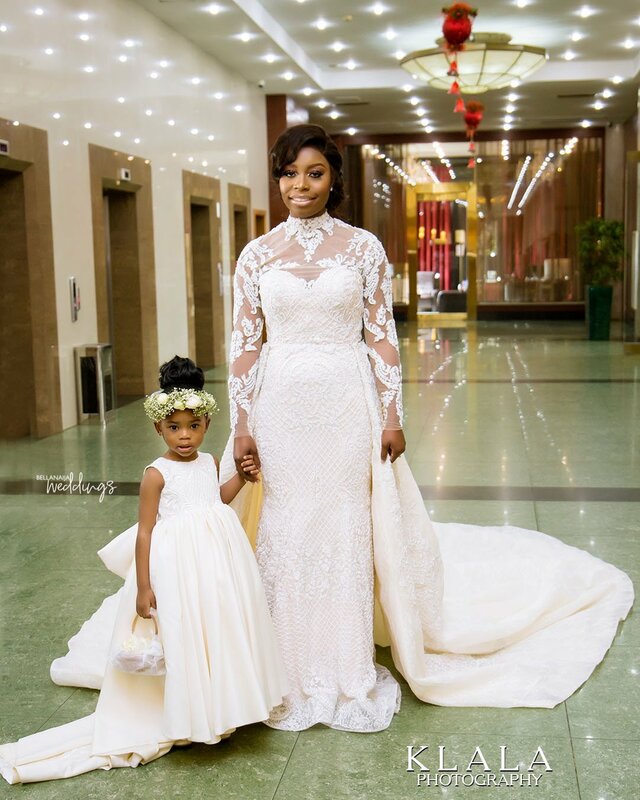 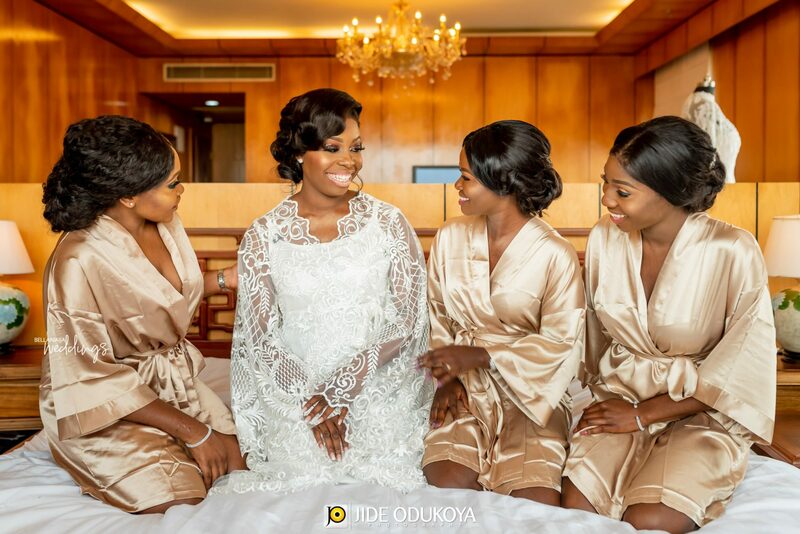 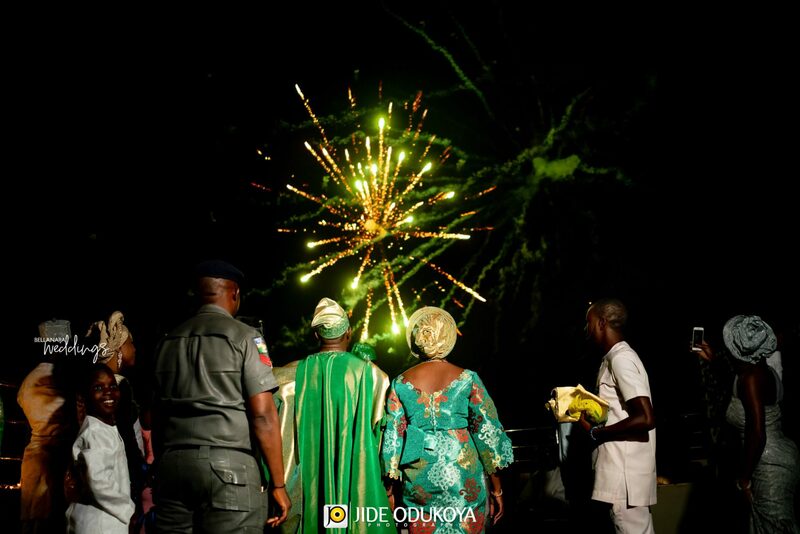 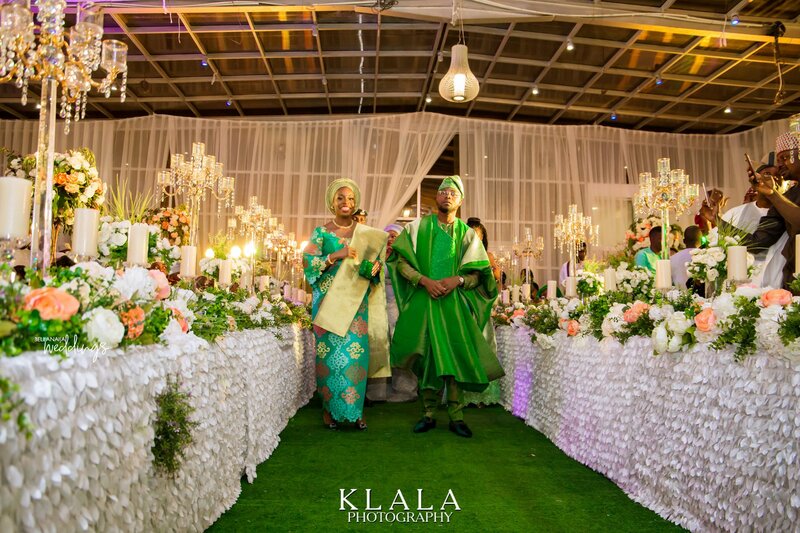 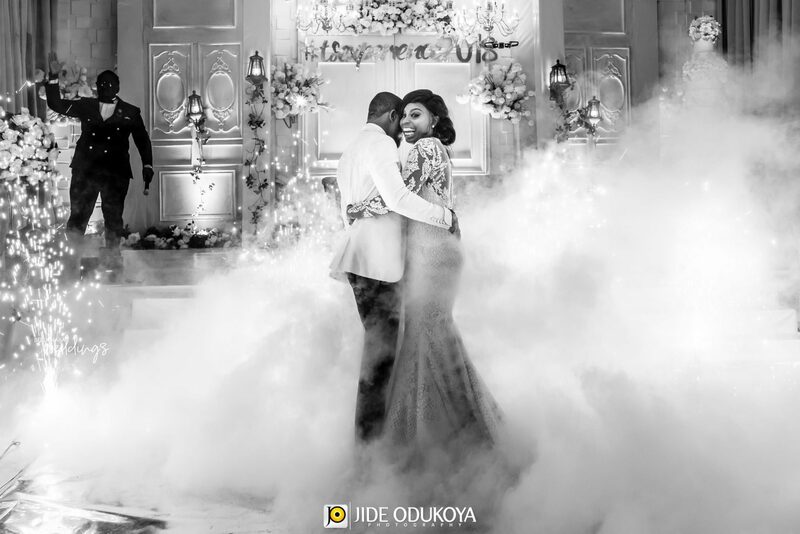 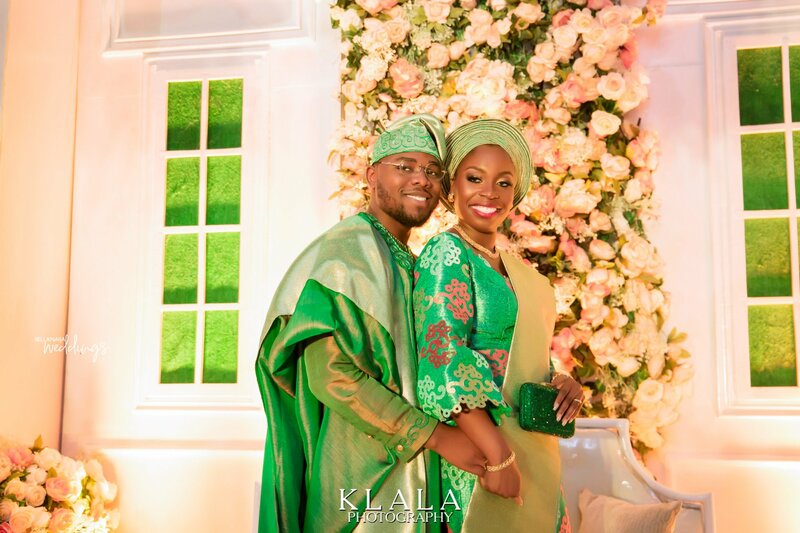 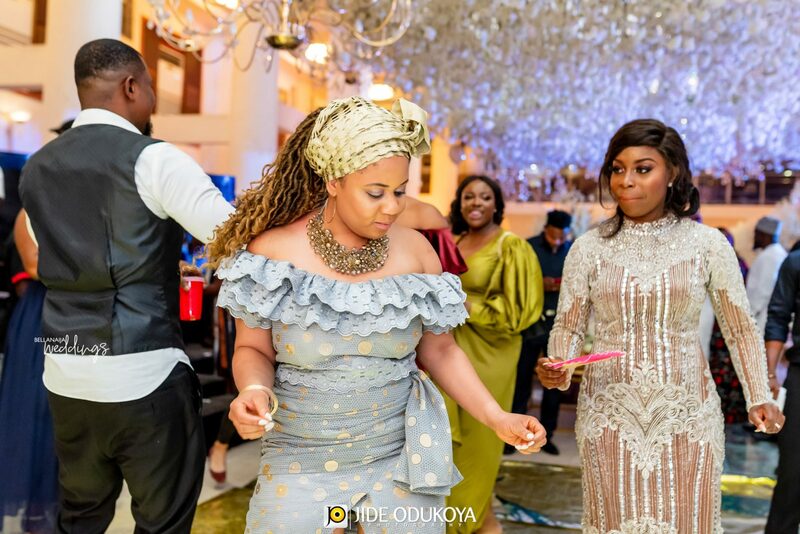 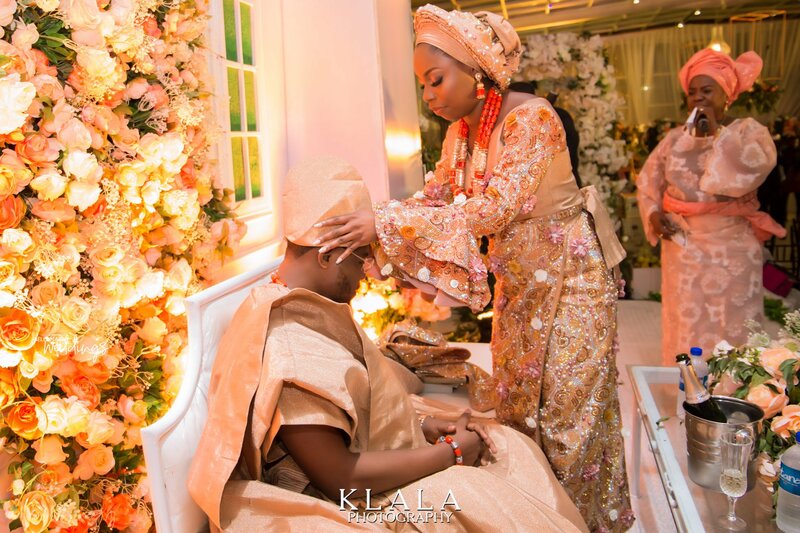 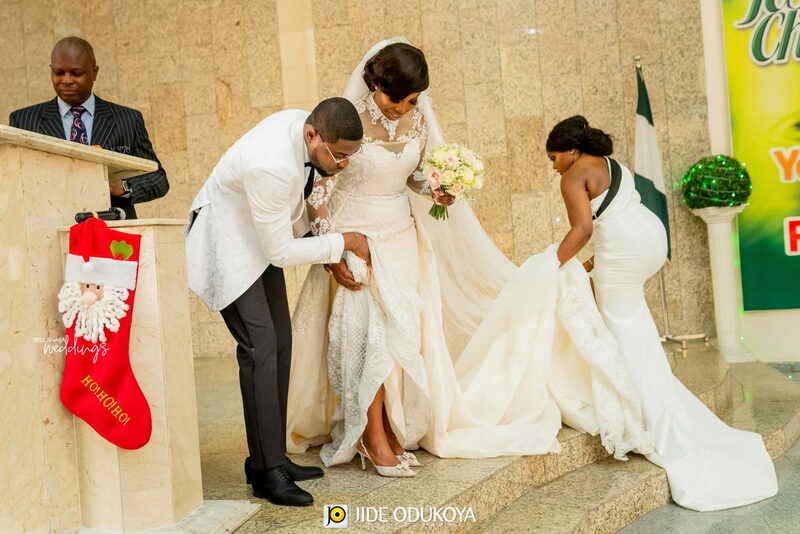 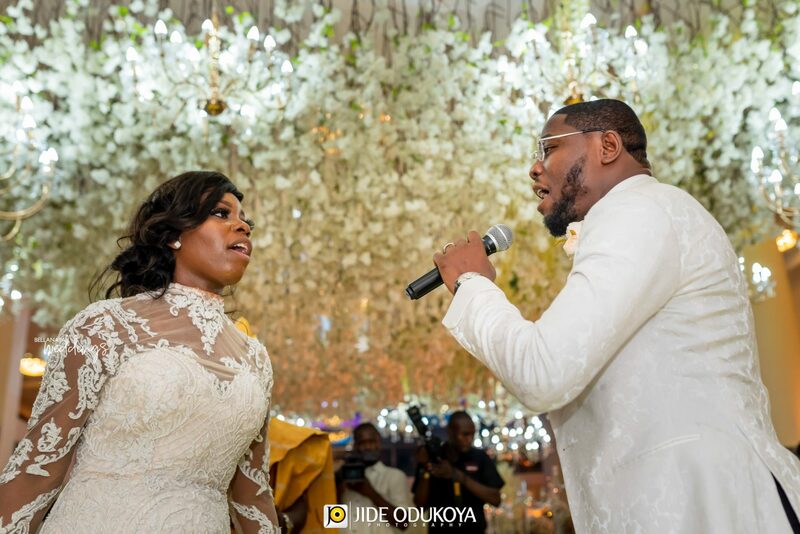 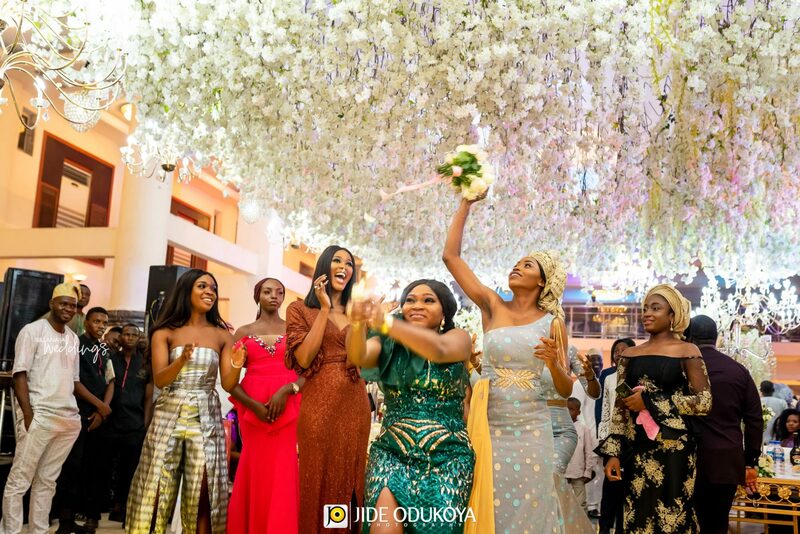 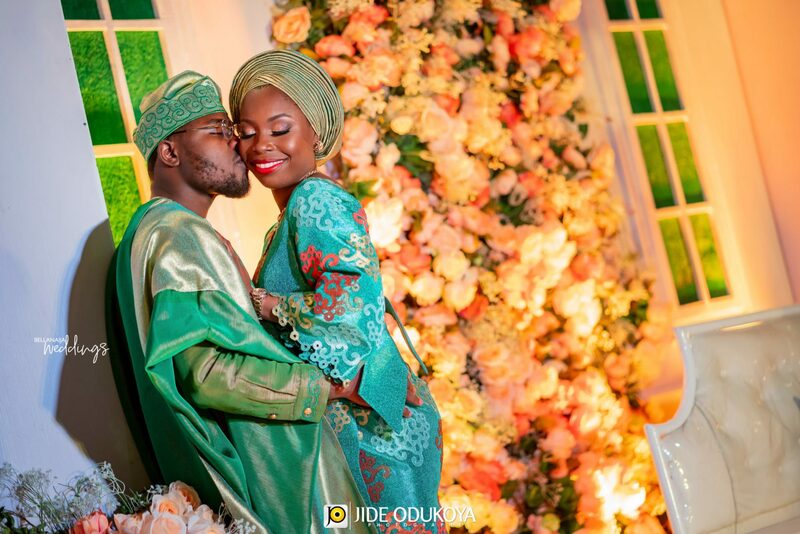 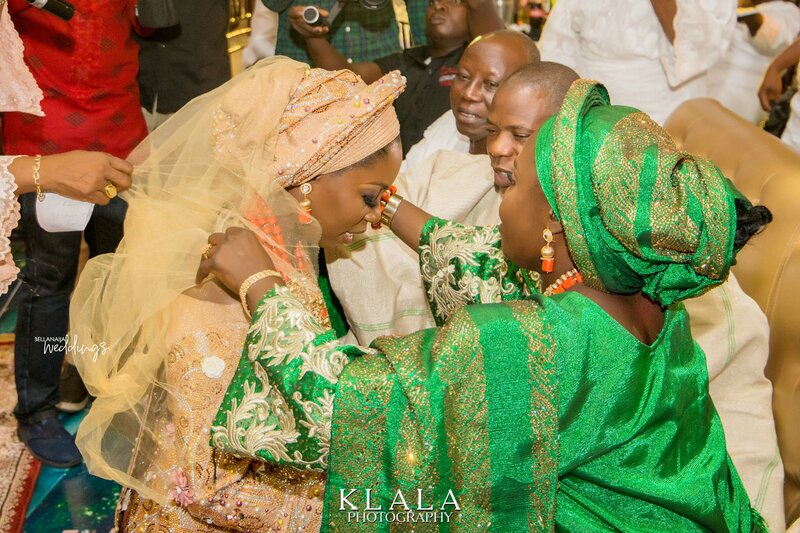 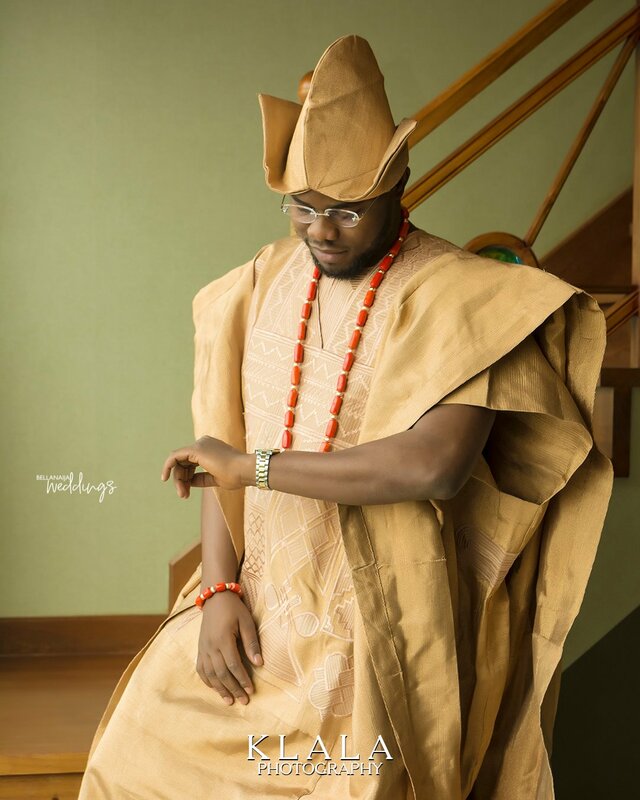 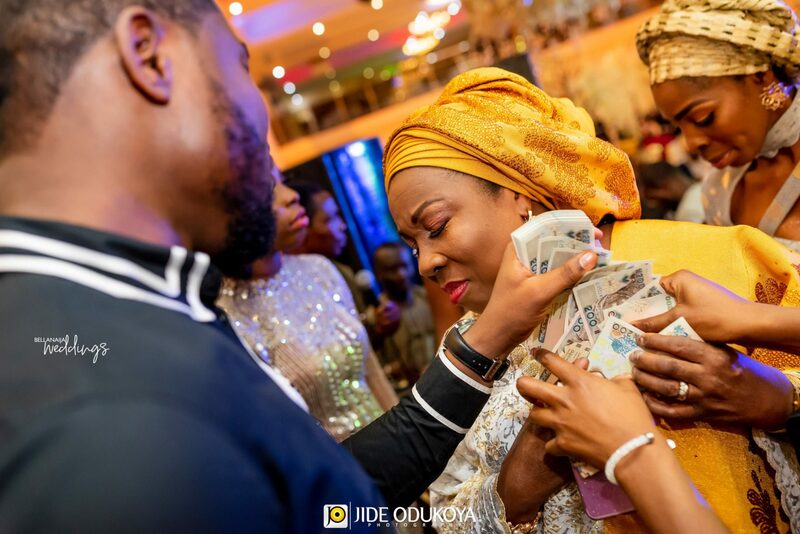 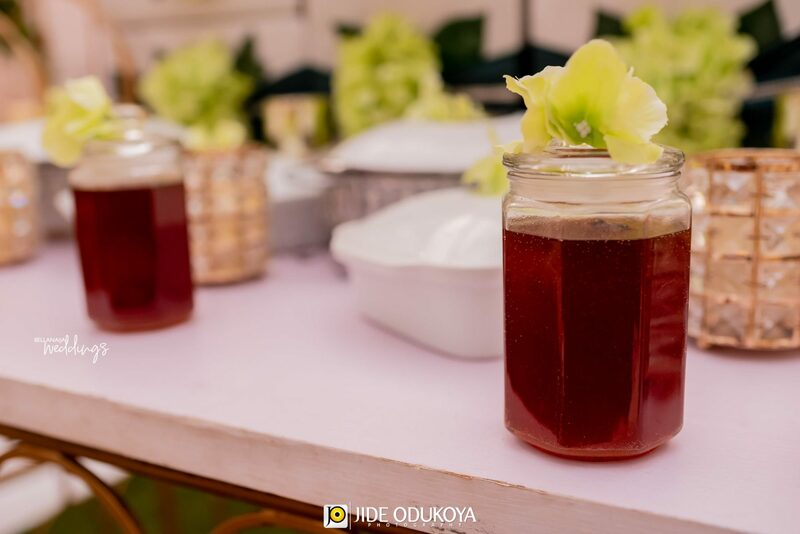 Tosin and Samuel had a mega-celebration of love with their close family and friends in attendance. 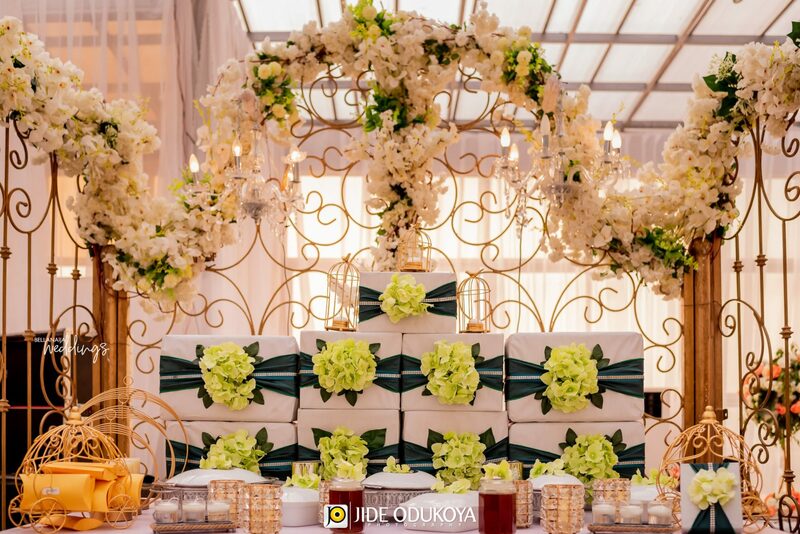 It was super beautiful and filled with lots of sweet moments. 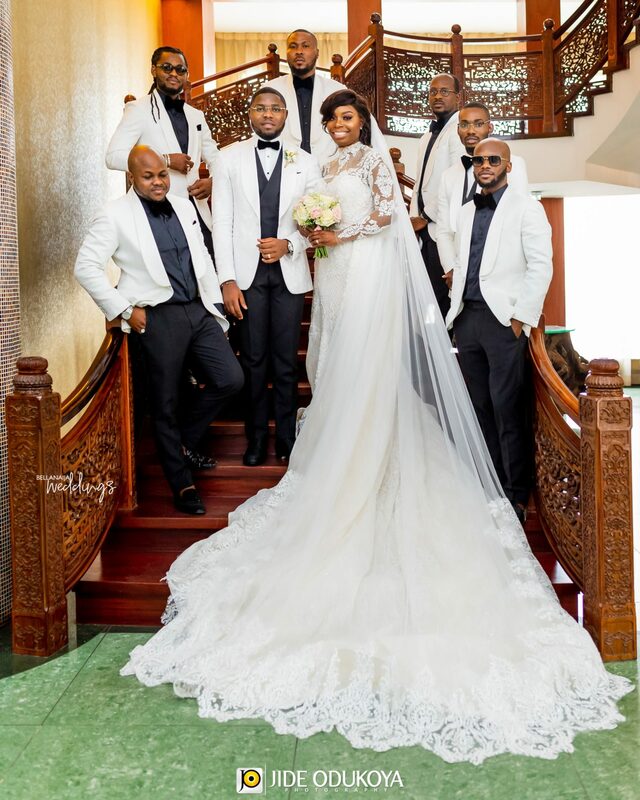 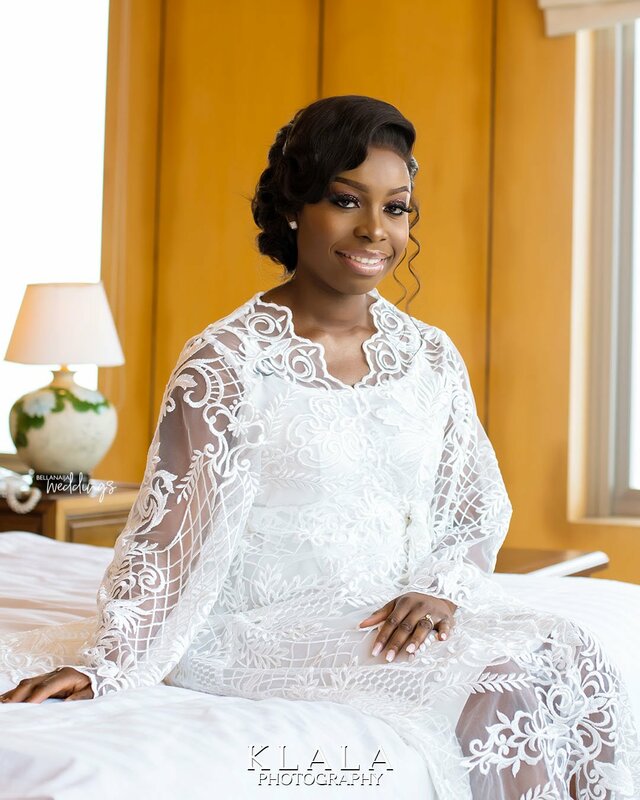 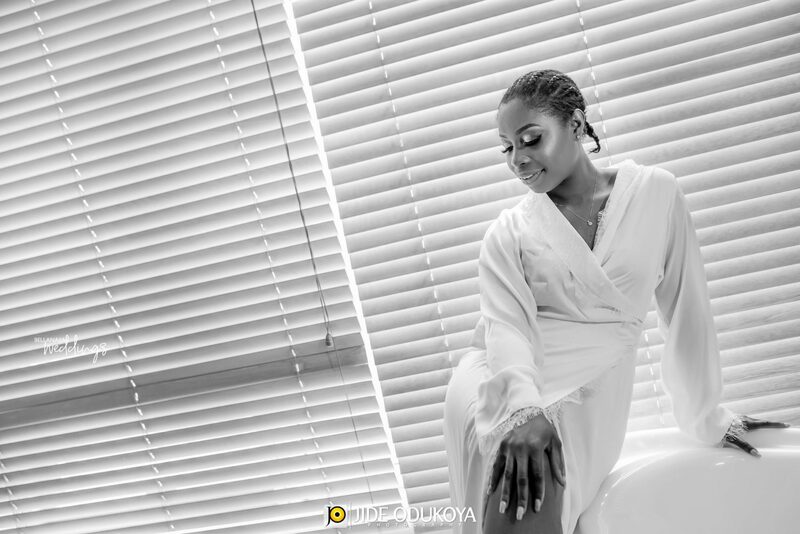 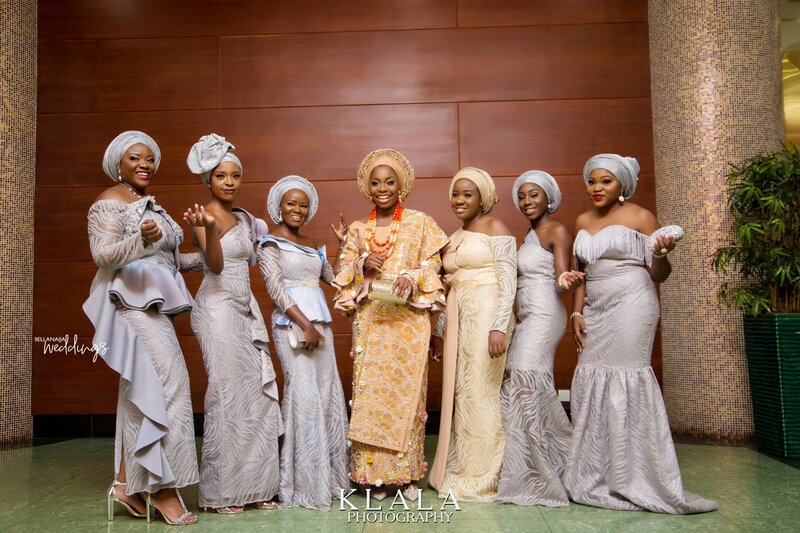 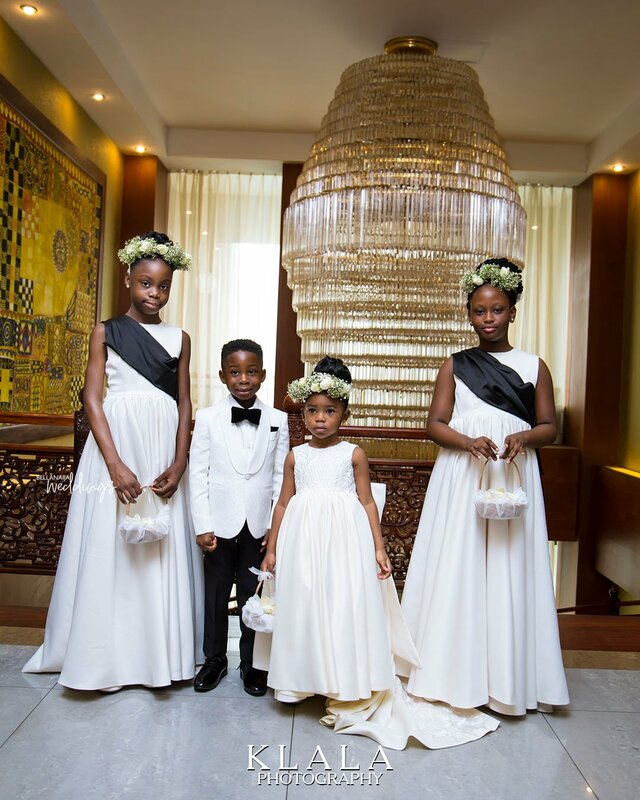 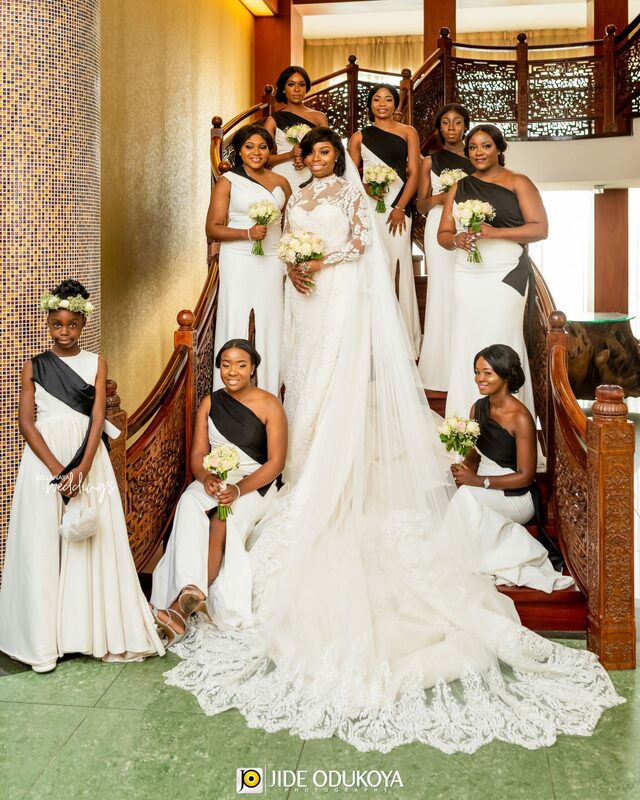 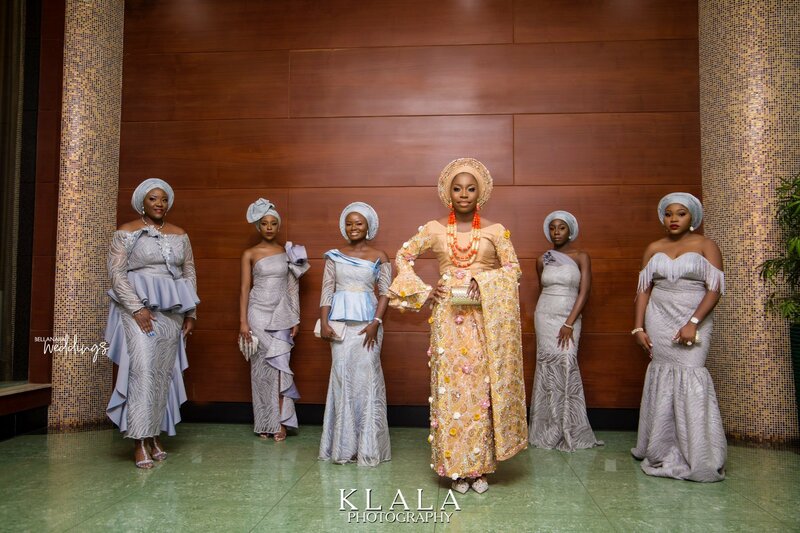 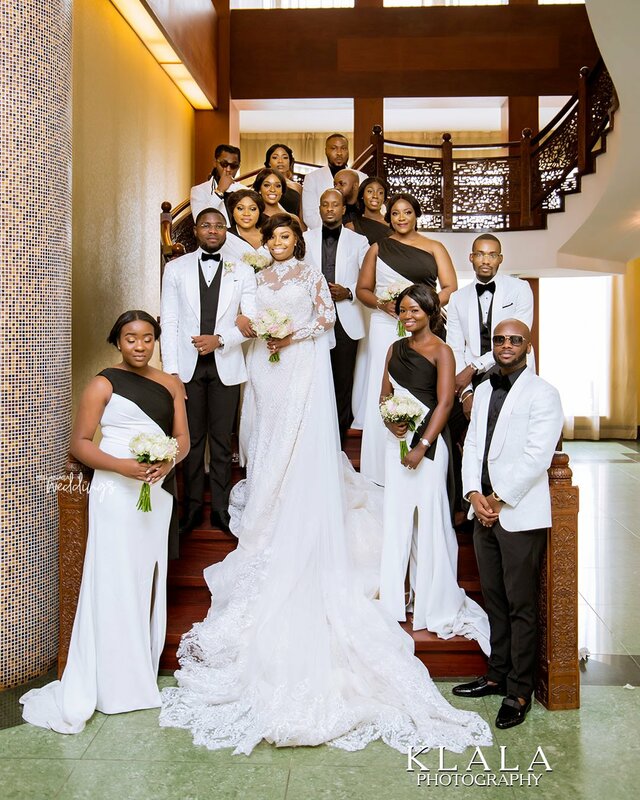 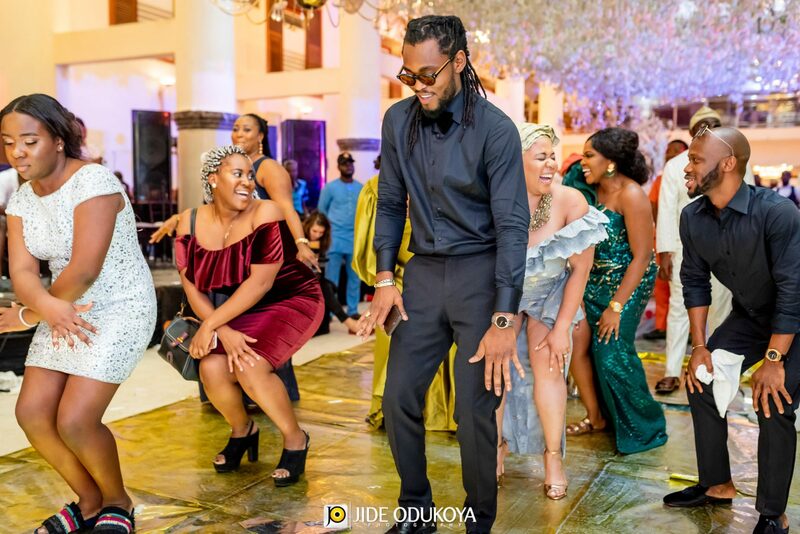 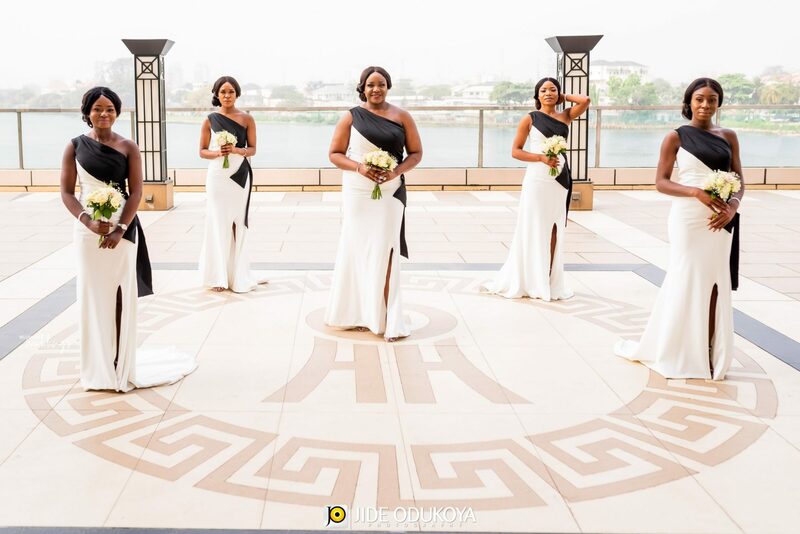 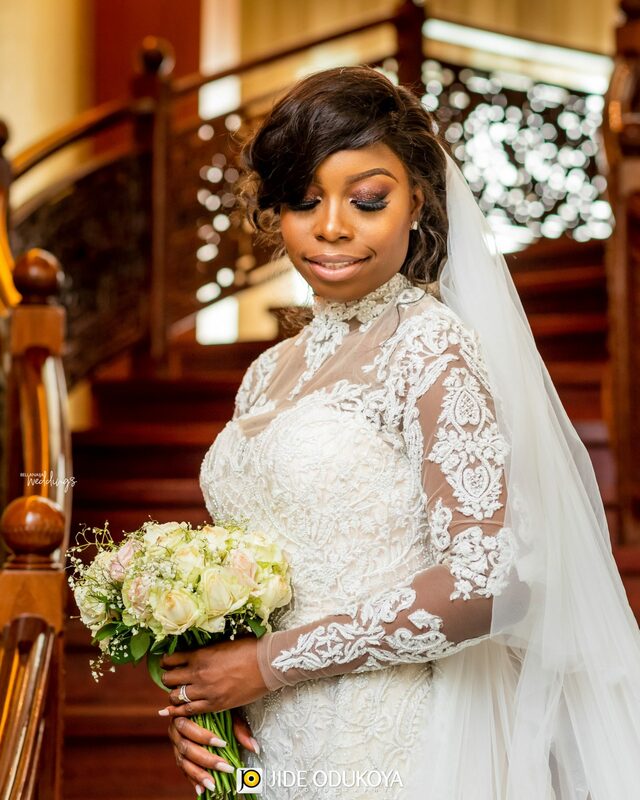 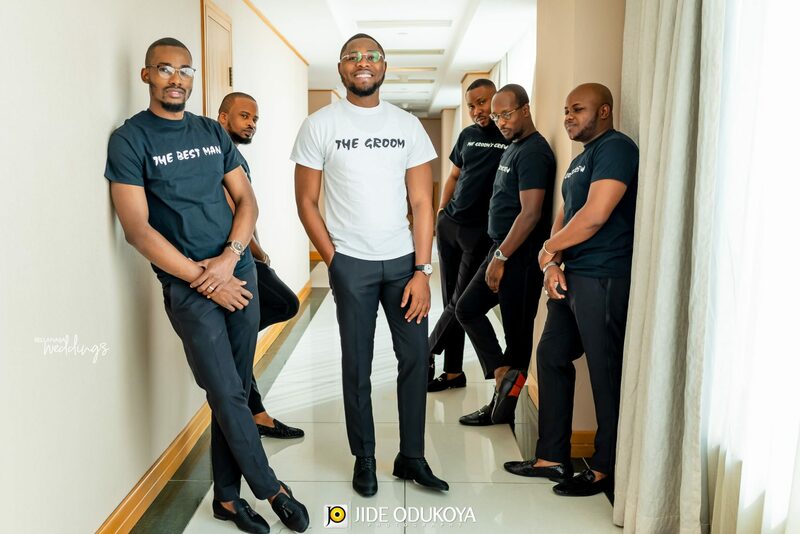 The bride and her groom rocked the day in outfits by Mai Atafo and their bridal party wasn’t left out as they also looked radiant in their white and black outfits also designed by Mai Atafo. 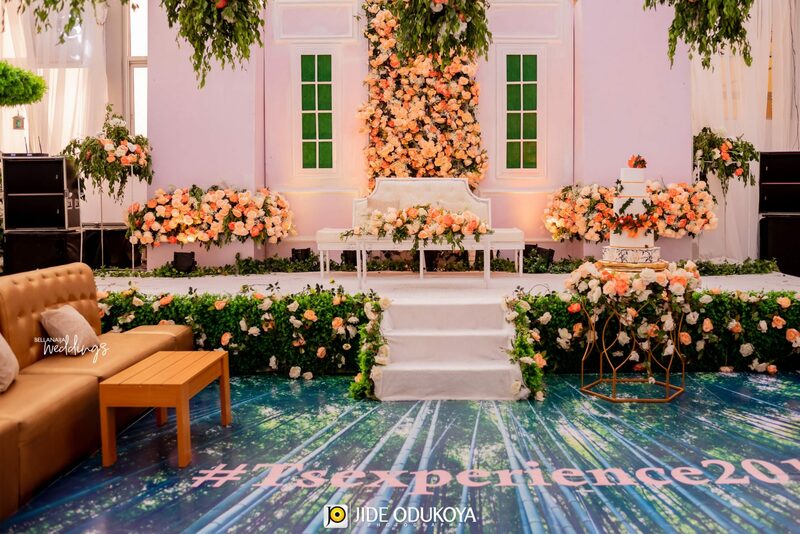 Now the decor at the reception really took us on a ride. 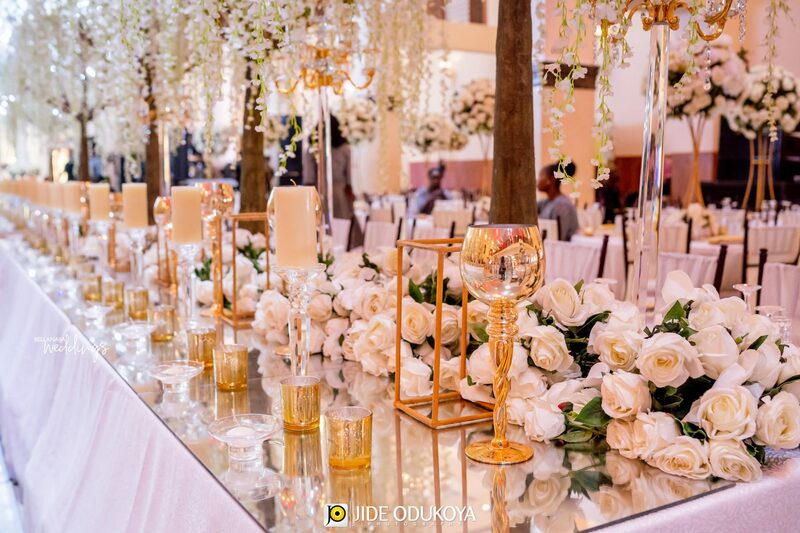 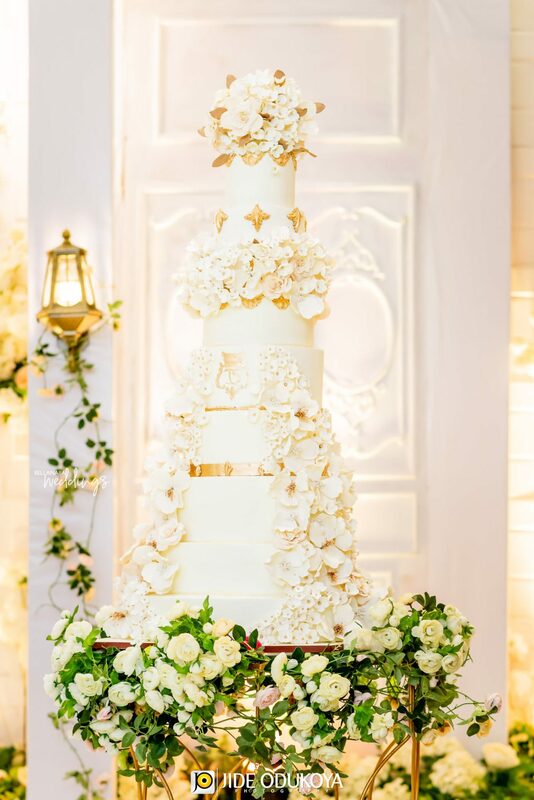 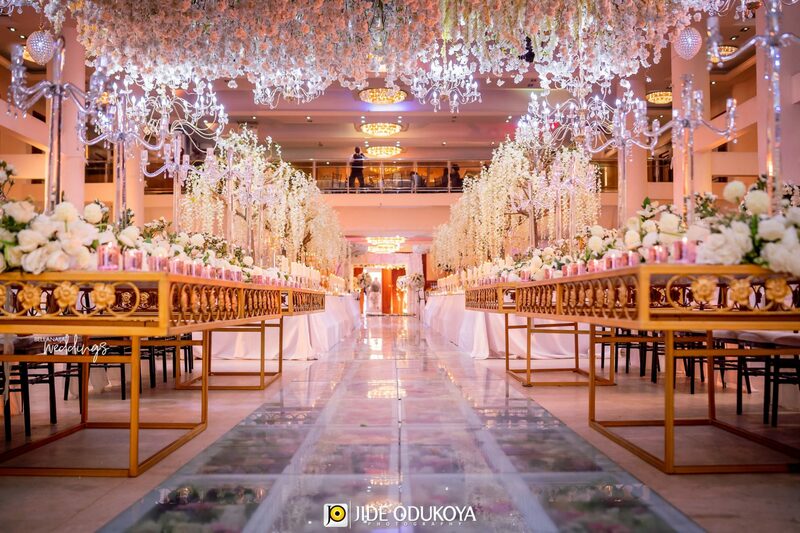 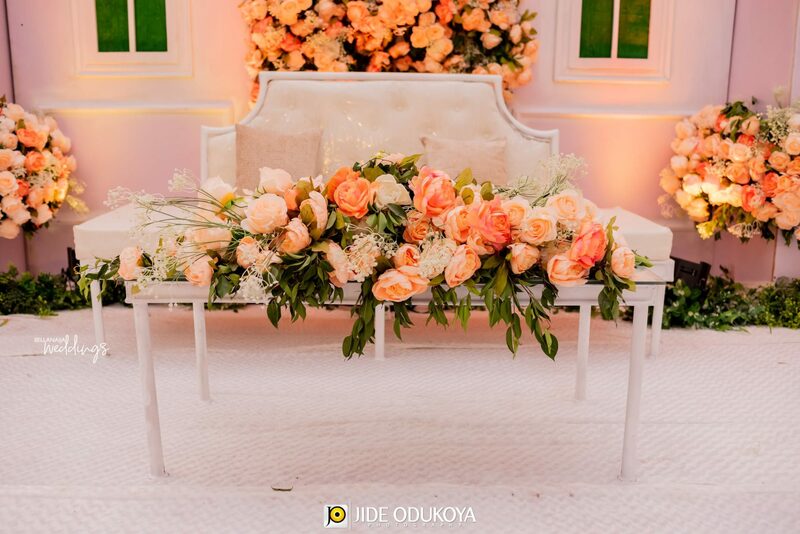 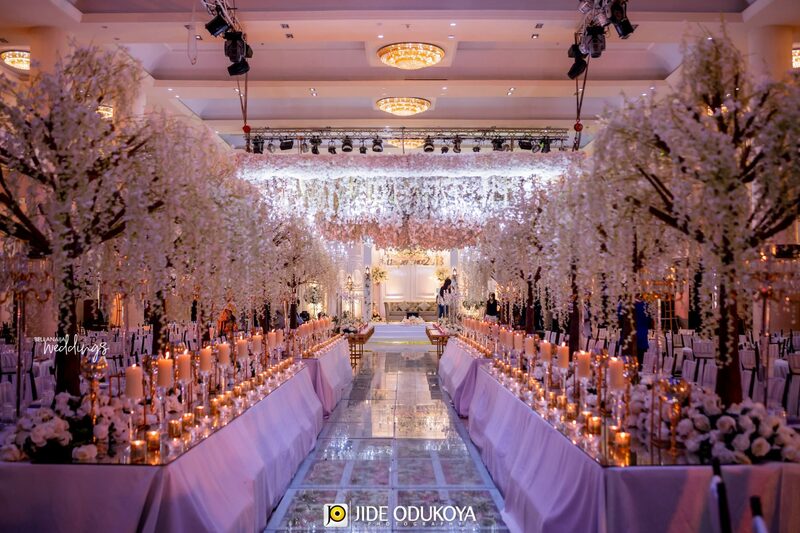 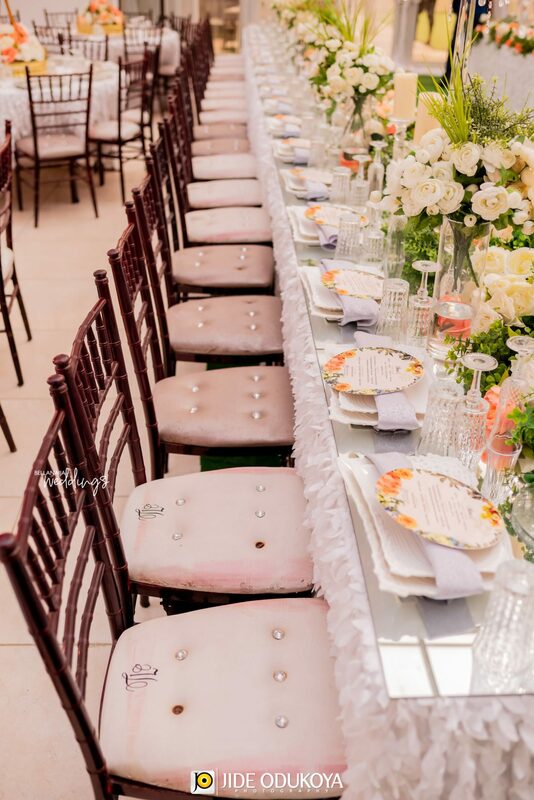 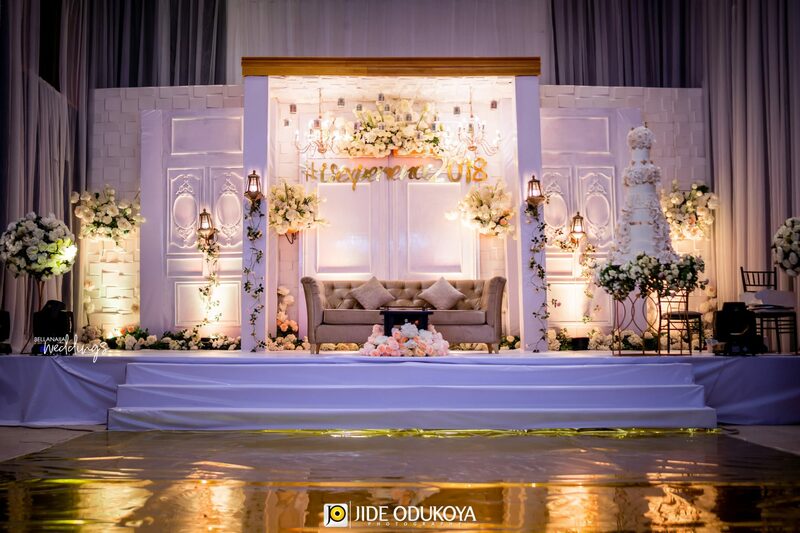 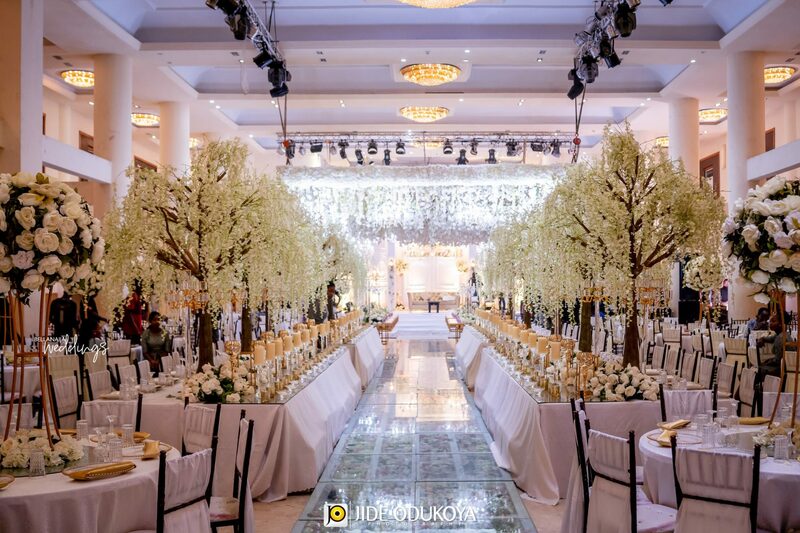 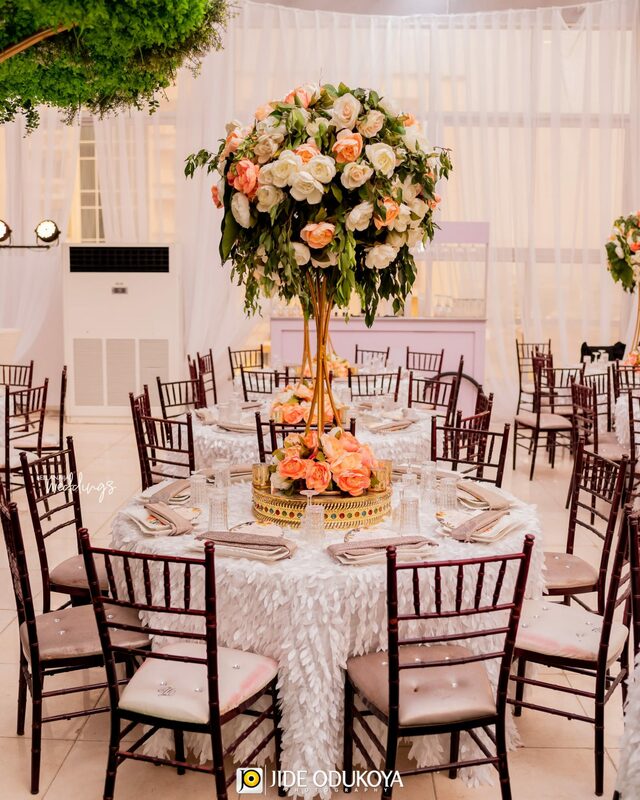 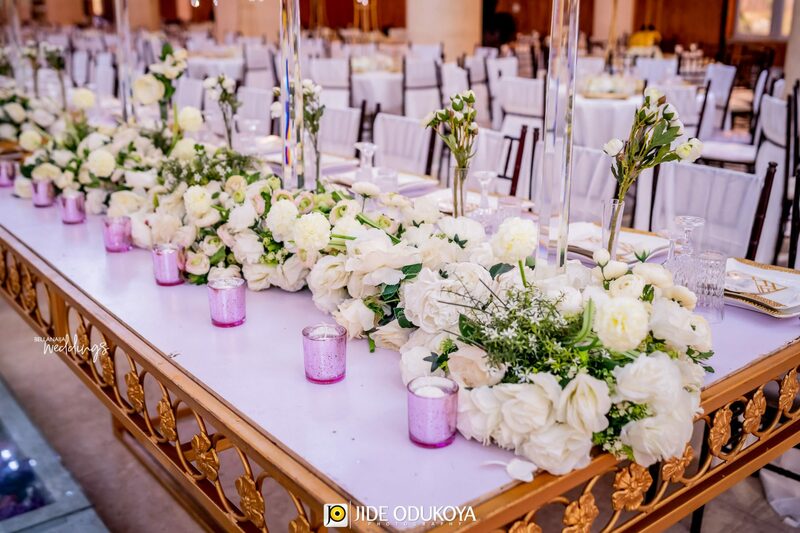 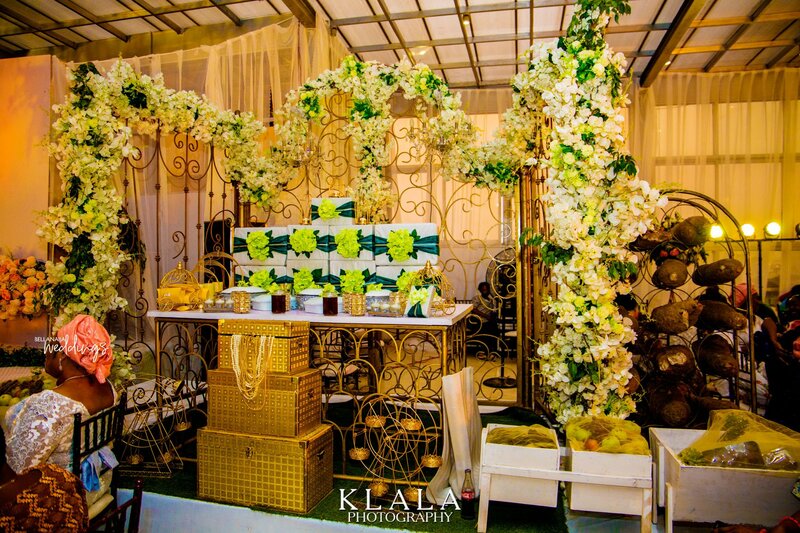 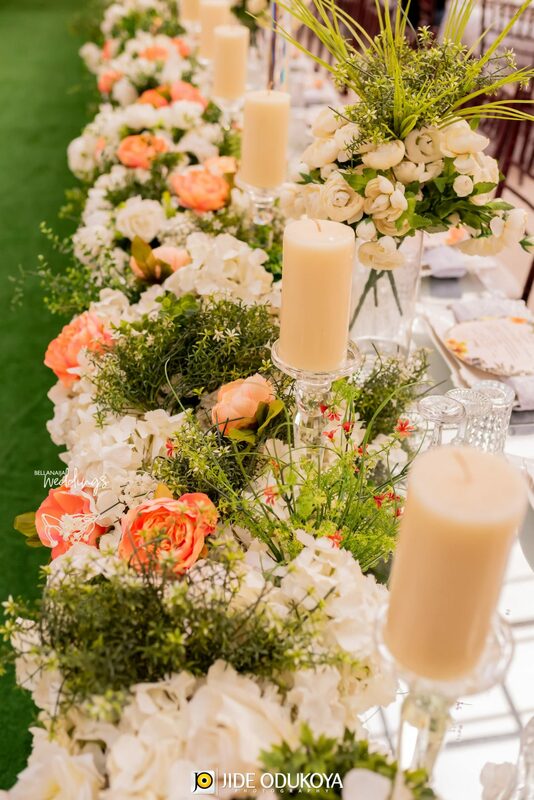 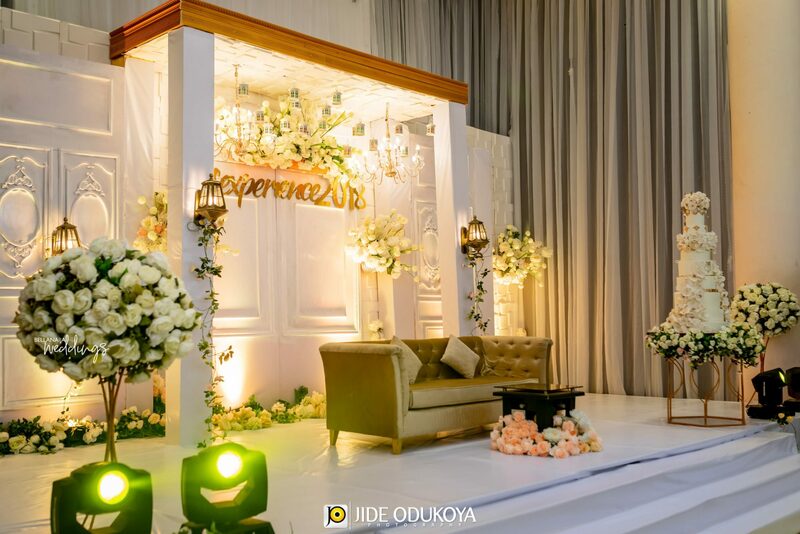 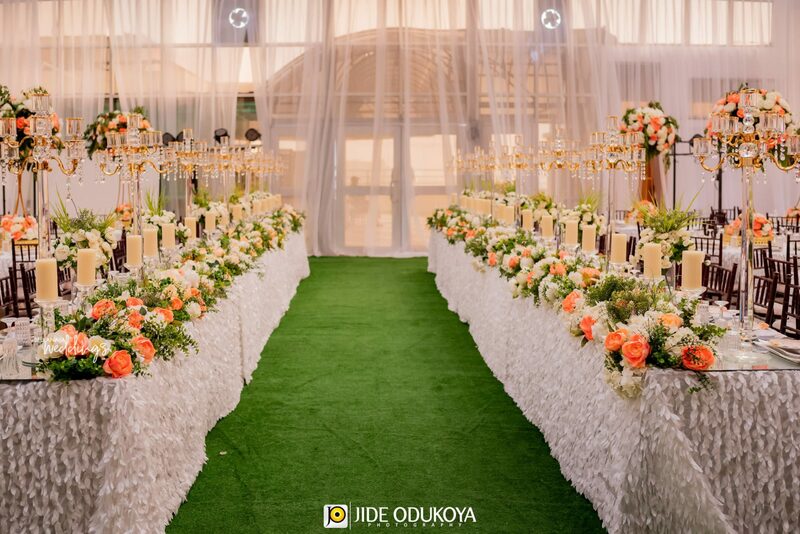 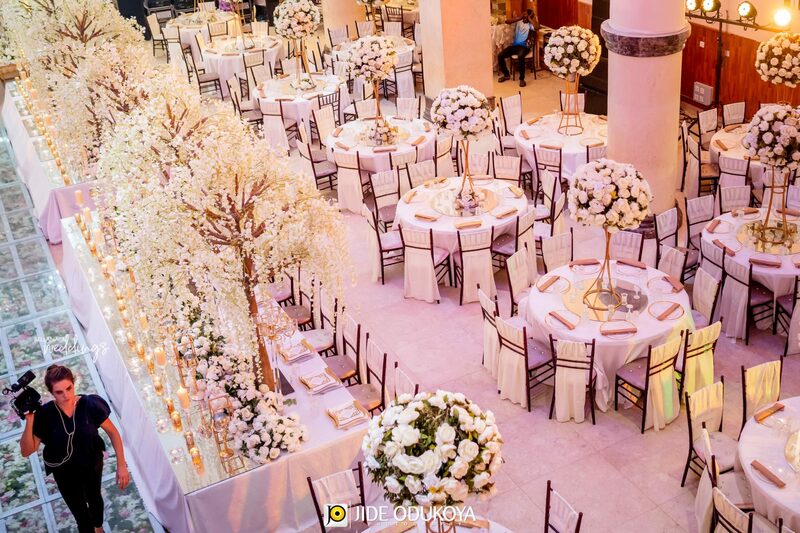 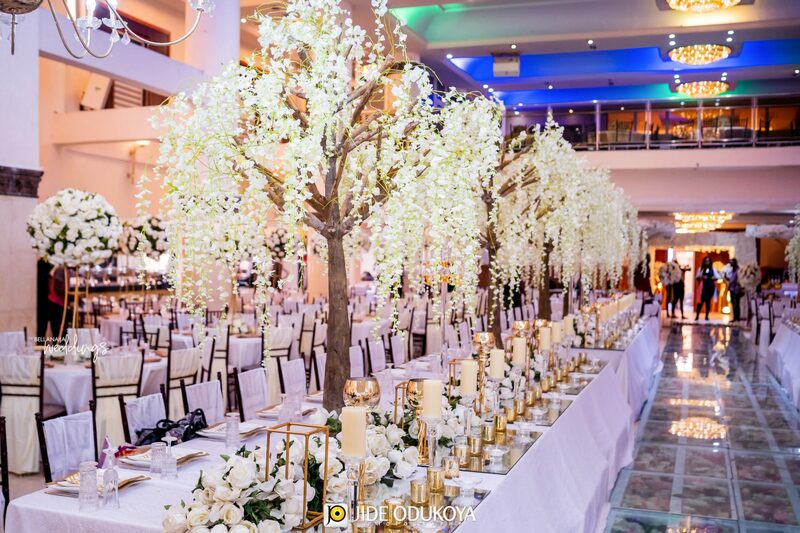 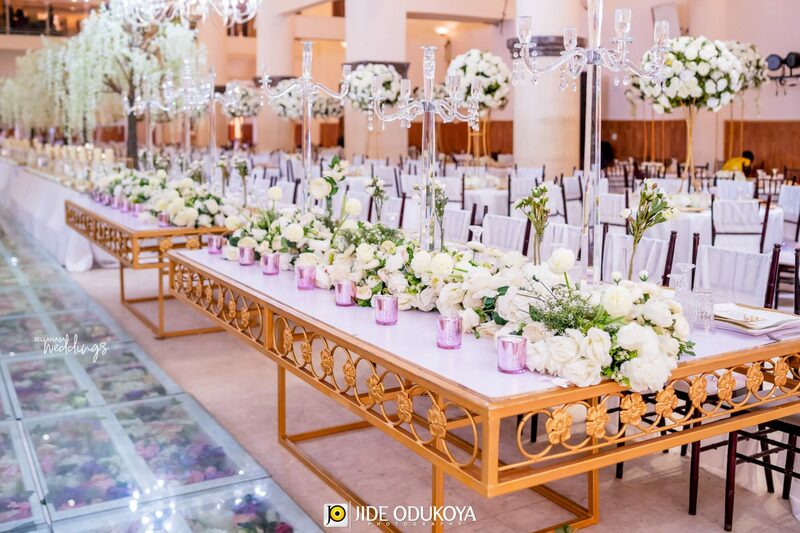 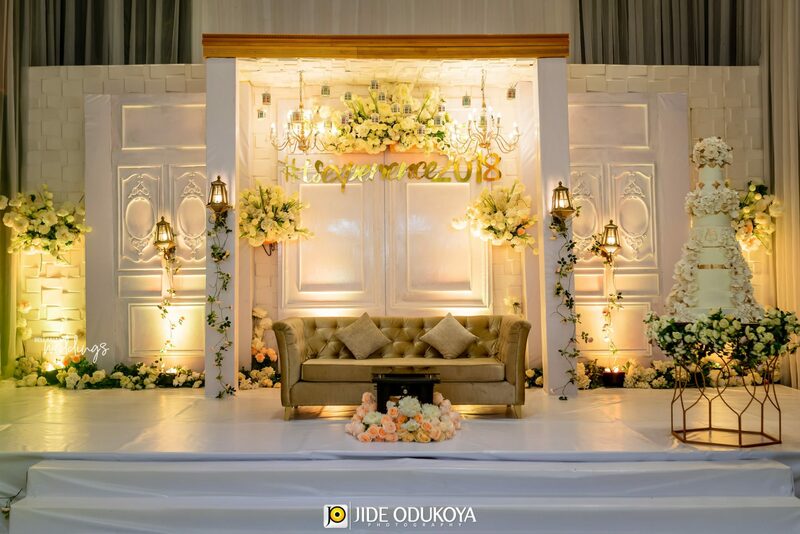 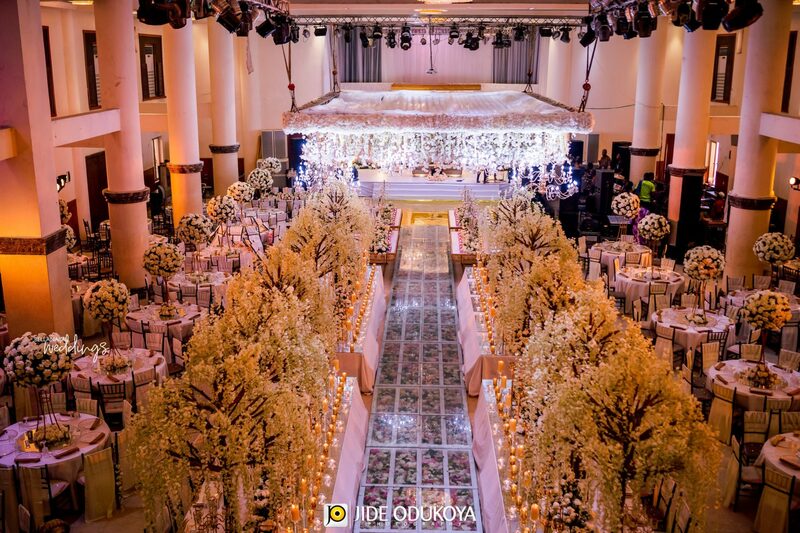 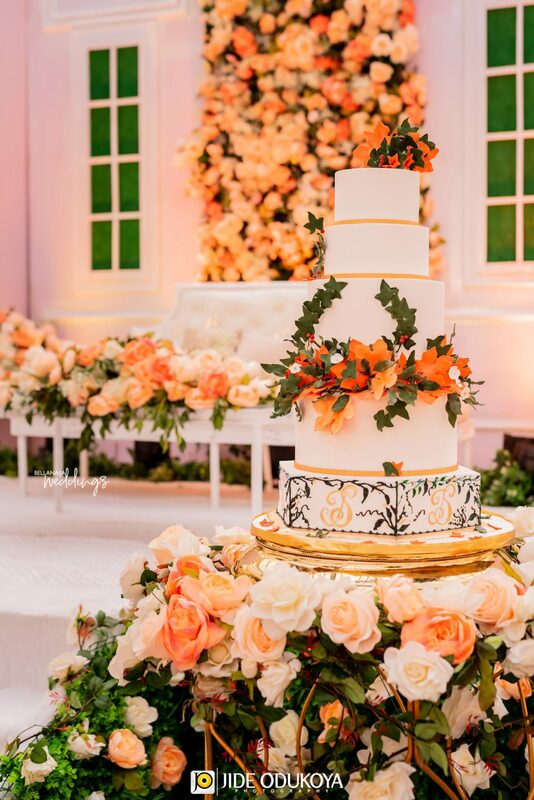 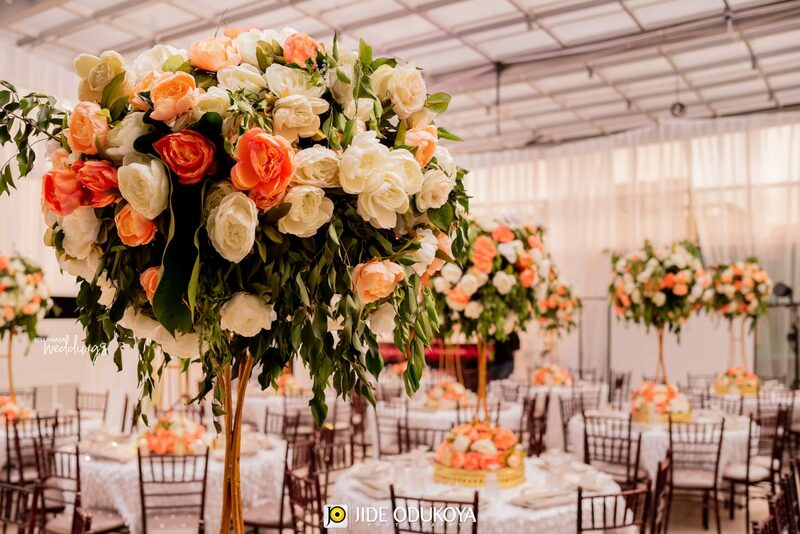 From the drapings, tablespace, to the floral wall, it truly gave the fairytale design of the venue. 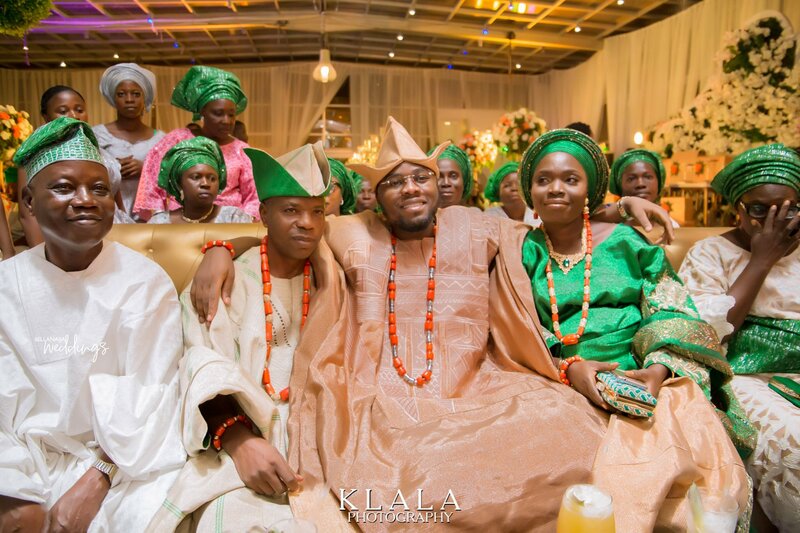 You can check out their love story on their pre-wedding shoot on www.bellanaijaweddings.com. 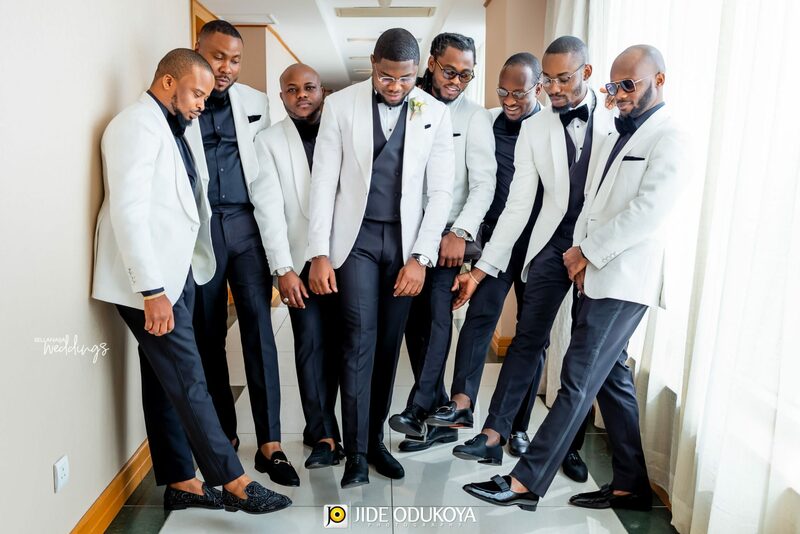 Let’s get into the wedding! 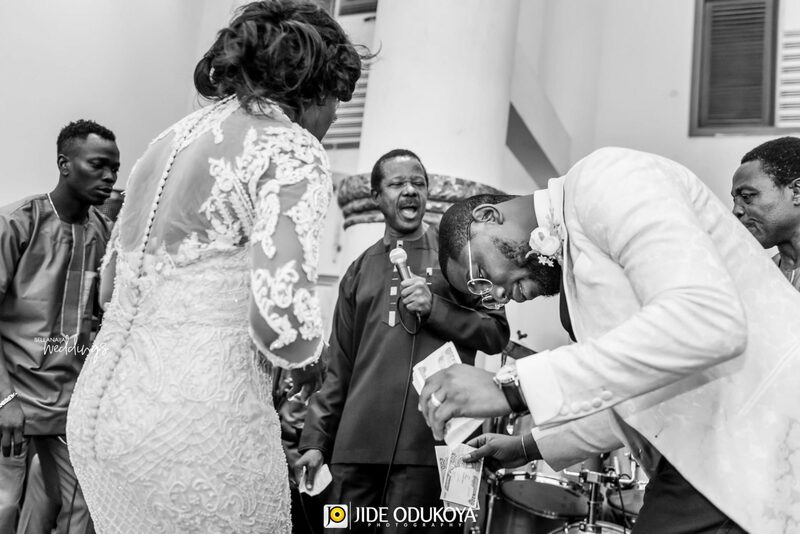 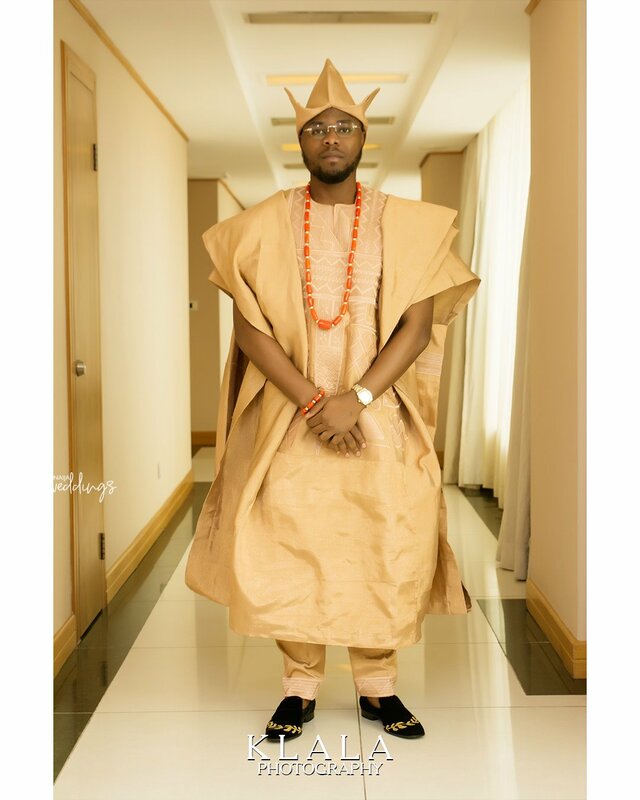 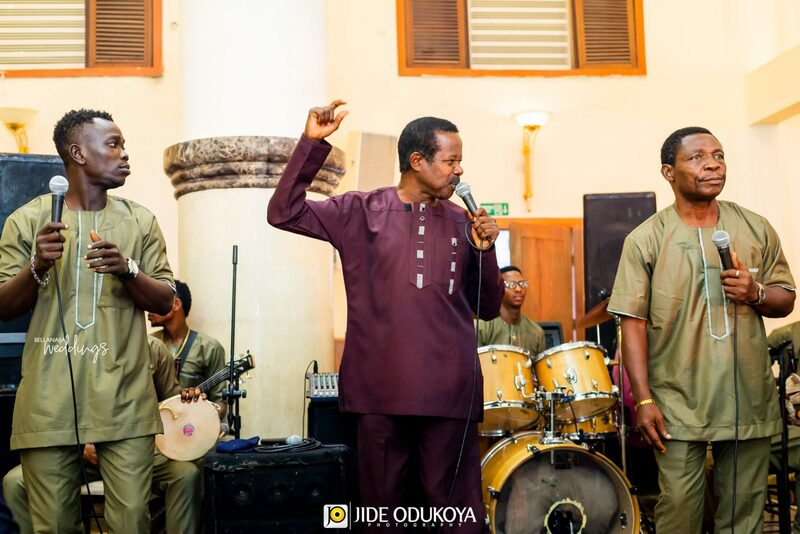 Baba God oo, eminaa feshe wedding ooo, Samuel olori meji, na beg I dey beg ooo. 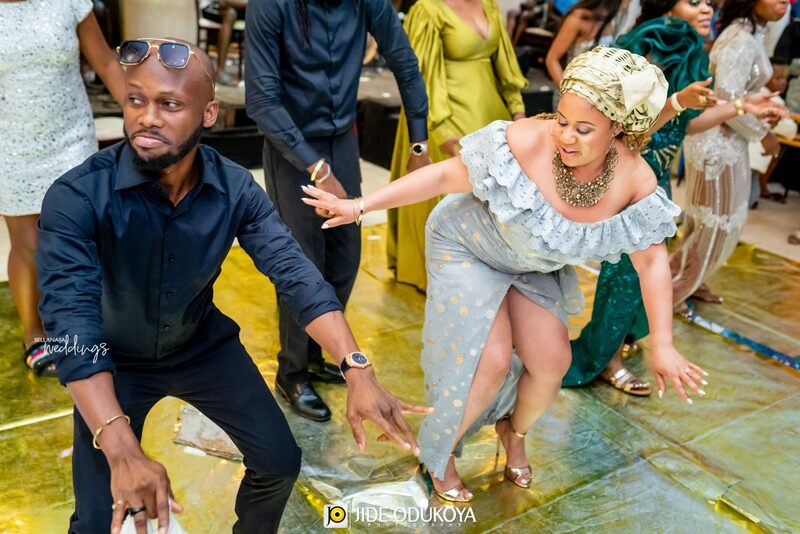 Emina tun fe ra Mansion and Exotic Cars. 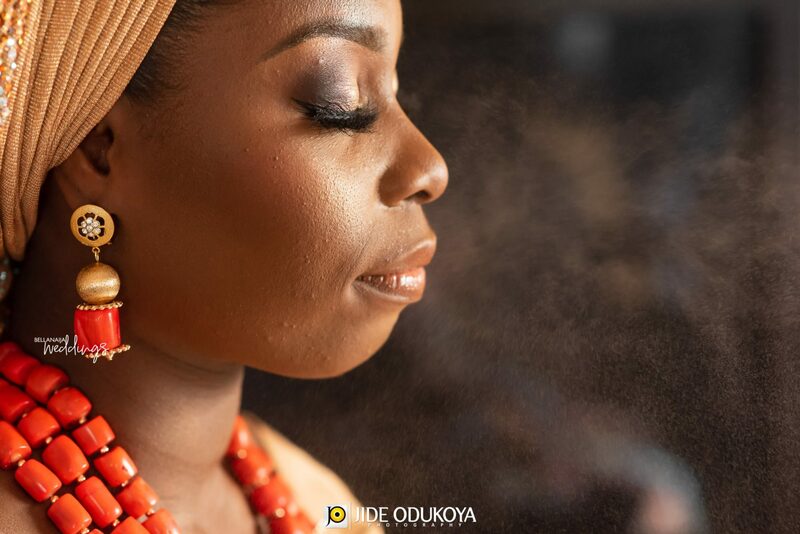 Baba God answer my prayer ooo. 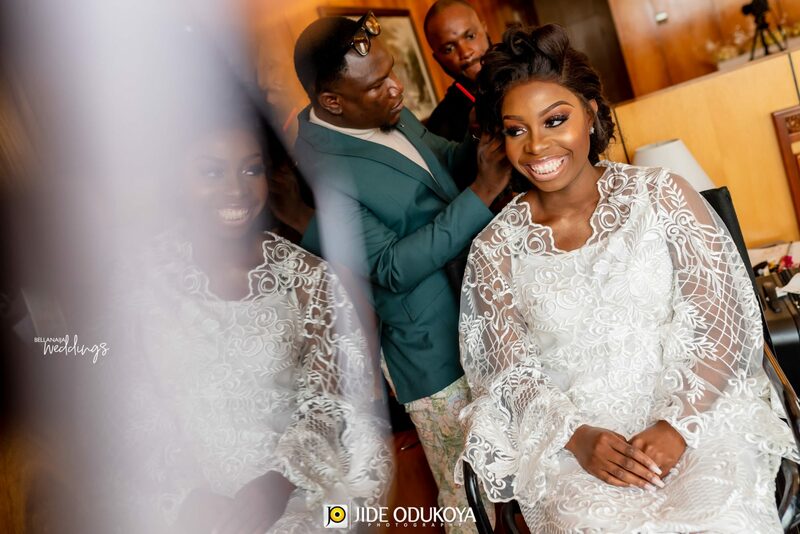 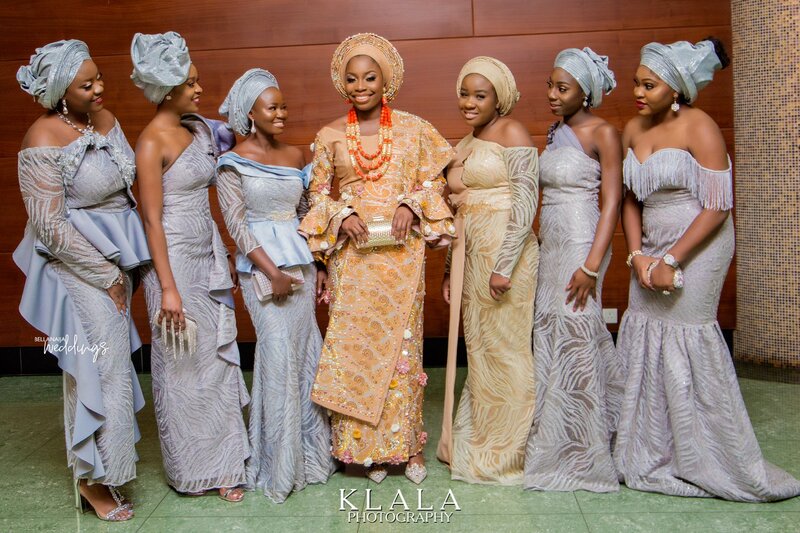 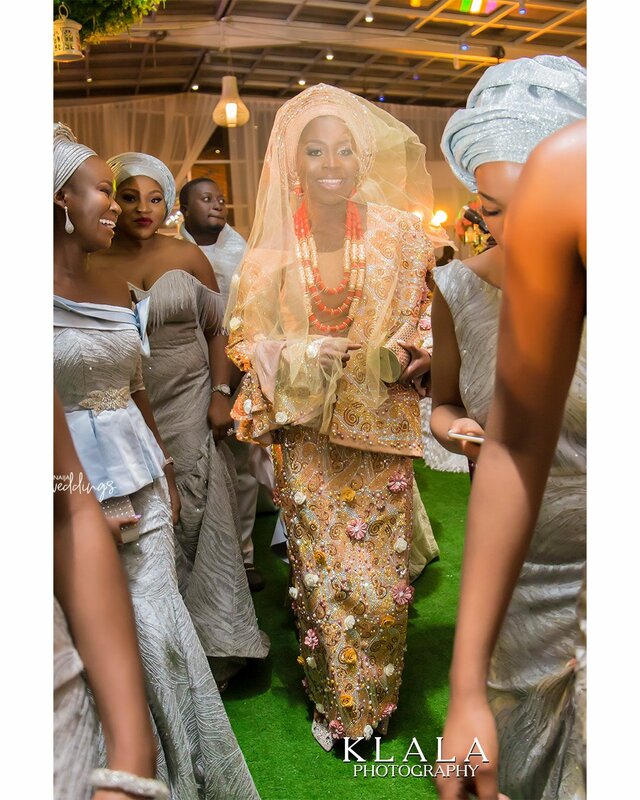 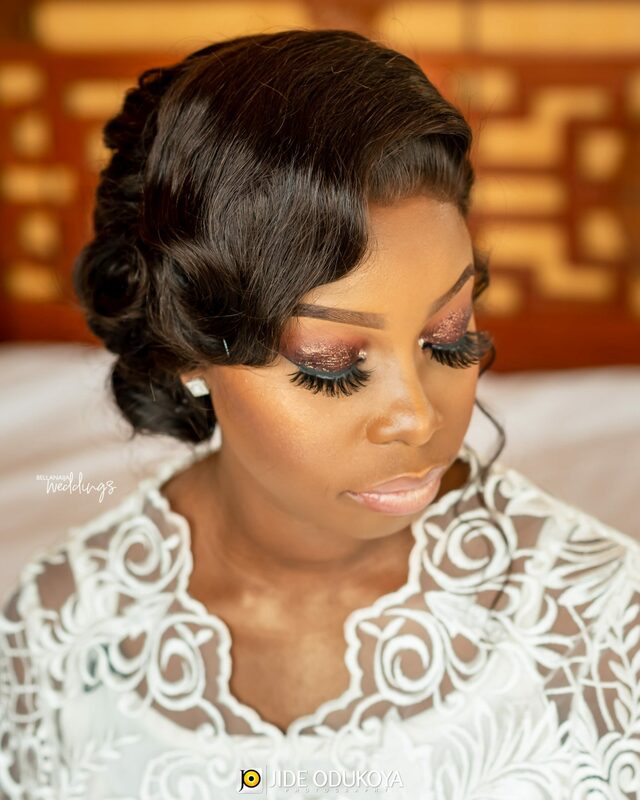 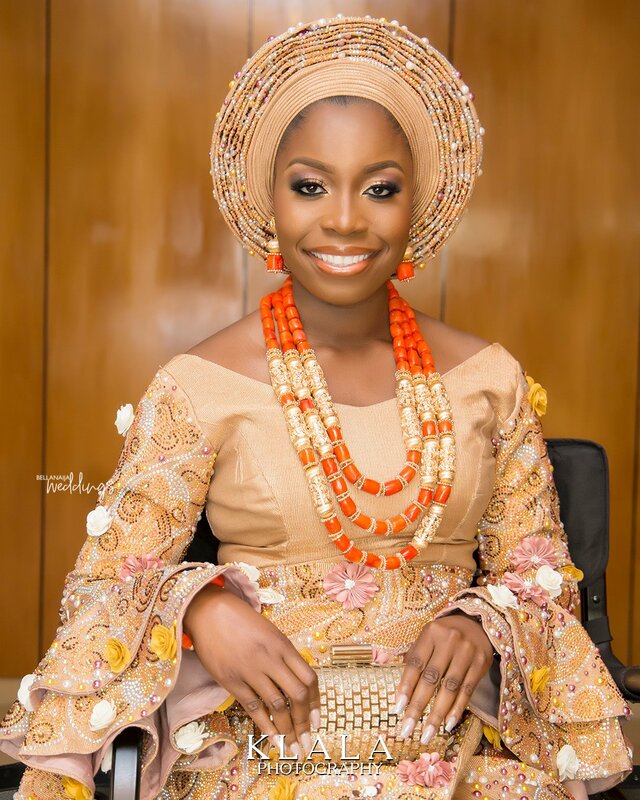 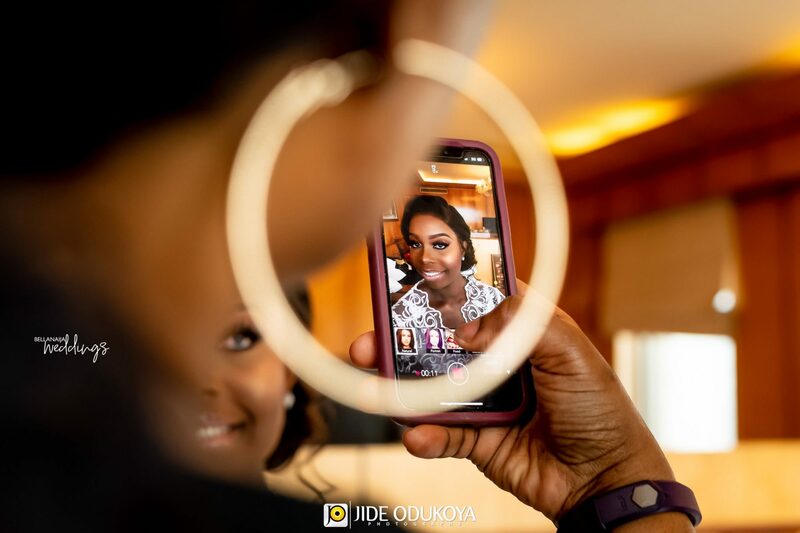 We are just in love with this eye shadow on the bride. 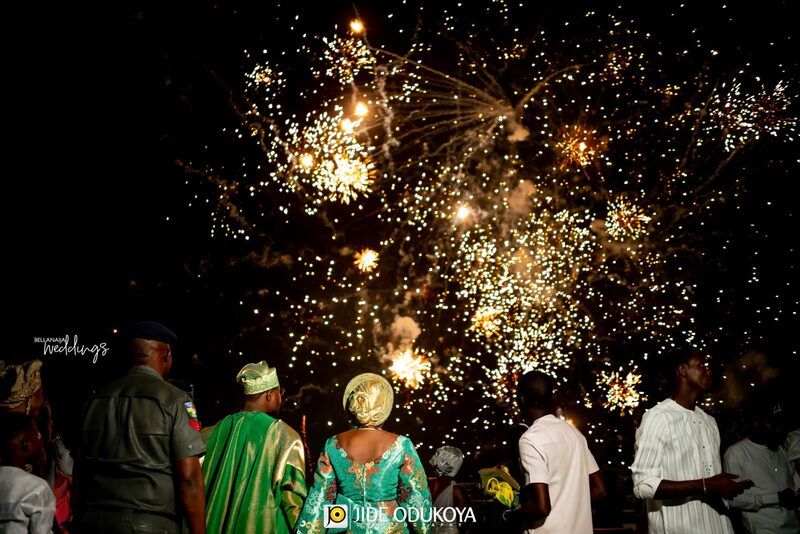 Fantastic glitter.